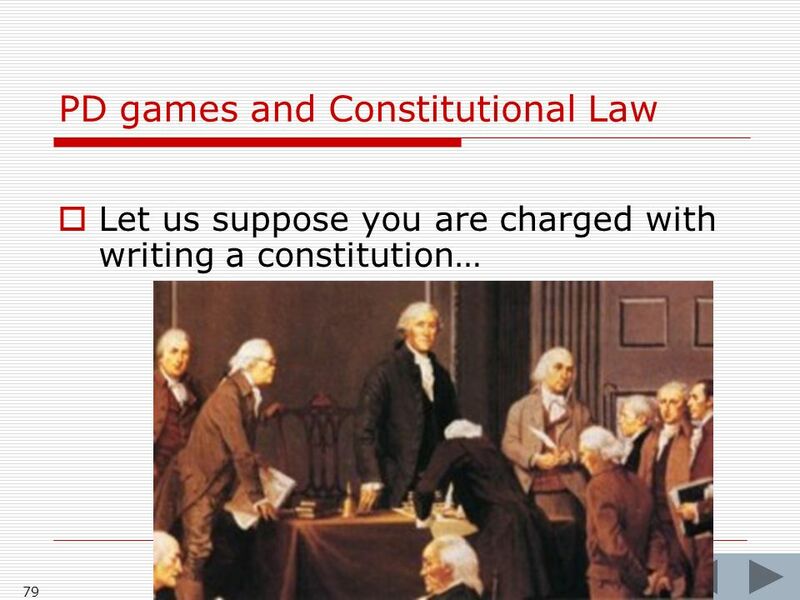 7 7 Lloyds Bank v. Bundy  3 All E.R. 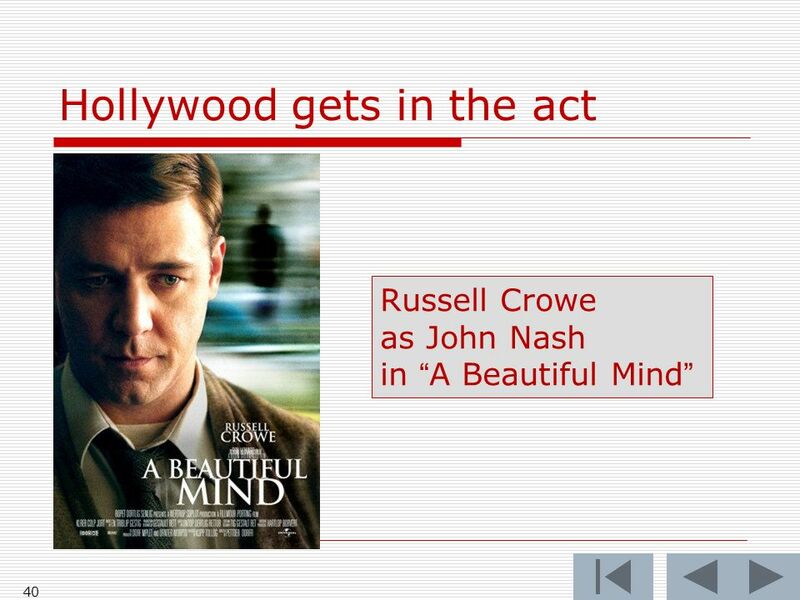 757 (C.A.) 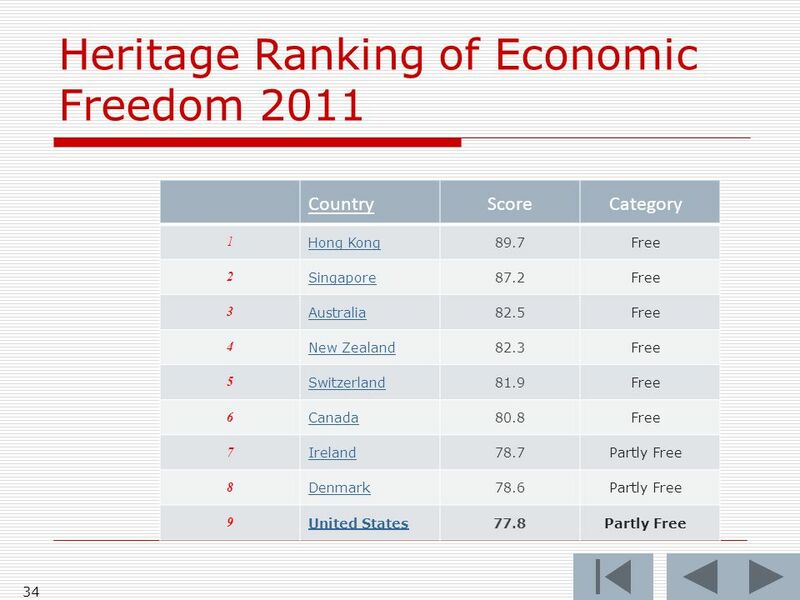 Broadchalke is one of the most pleasing villages in England. 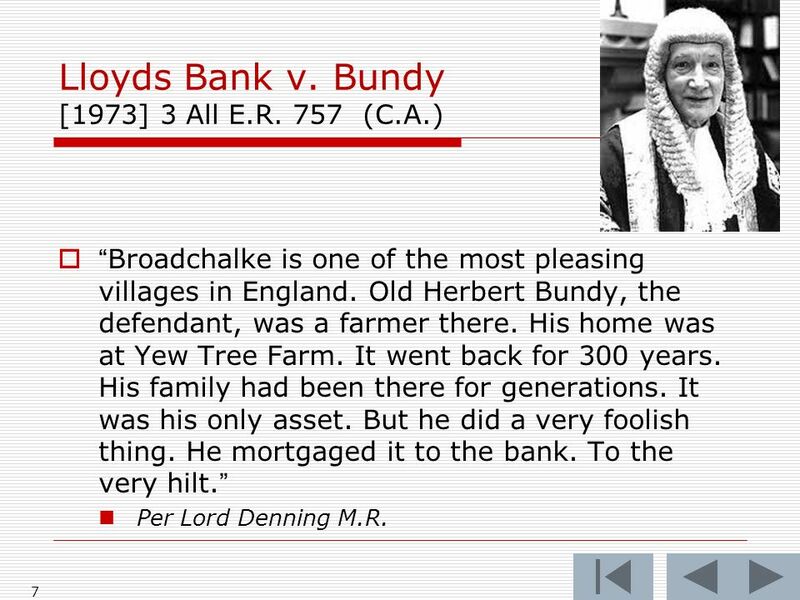 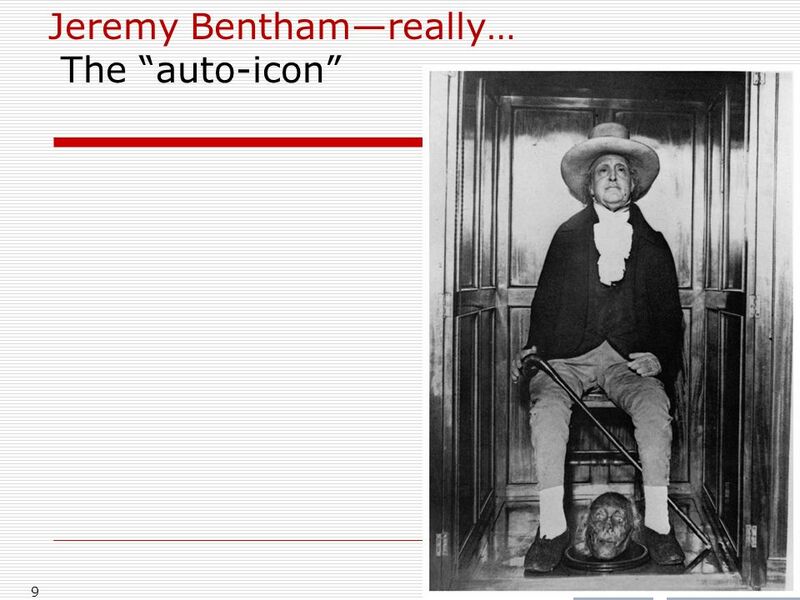 Old Herbert Bundy, the defendant, was a farmer there. 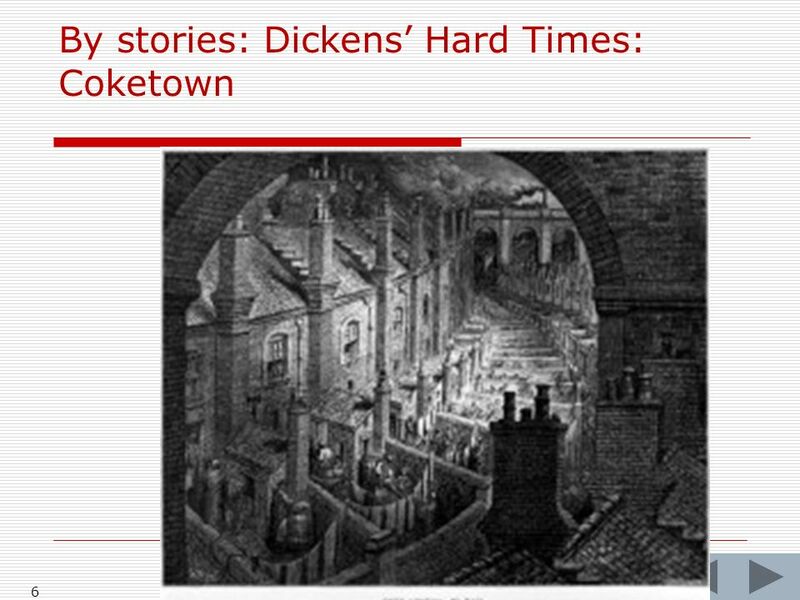 His home was at Yew Tree Farm. 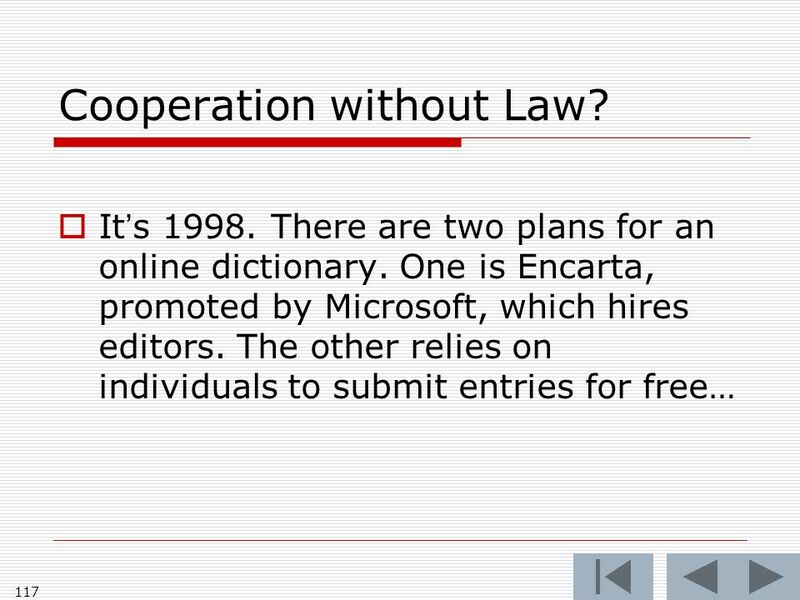 It went back for 300 years. 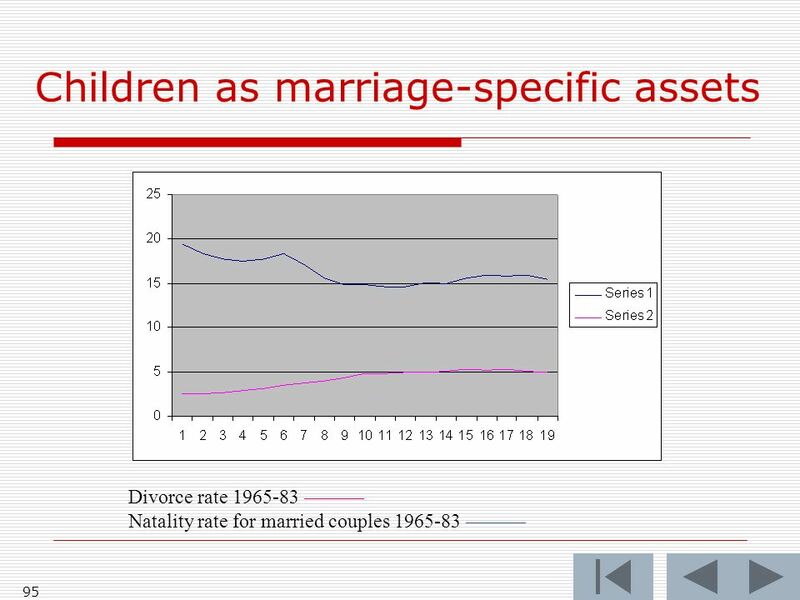 His family had been there for generations. 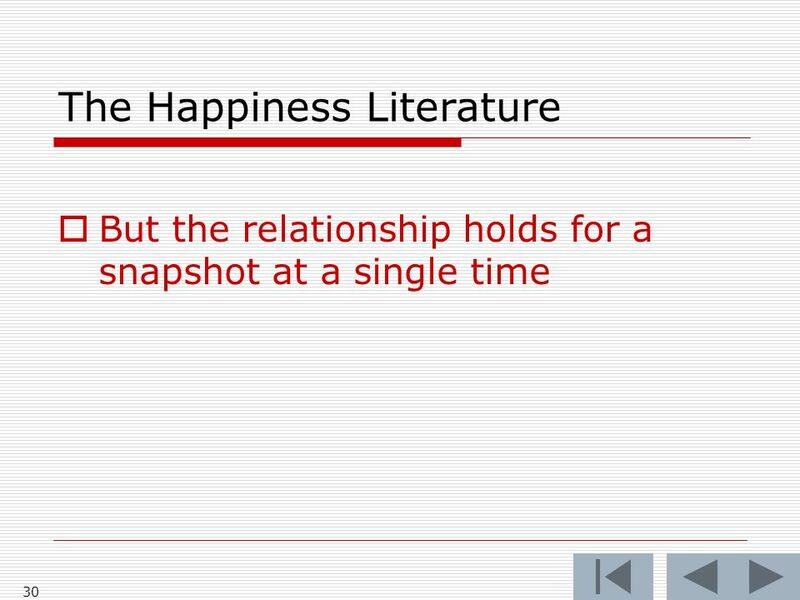 It was his only asset. 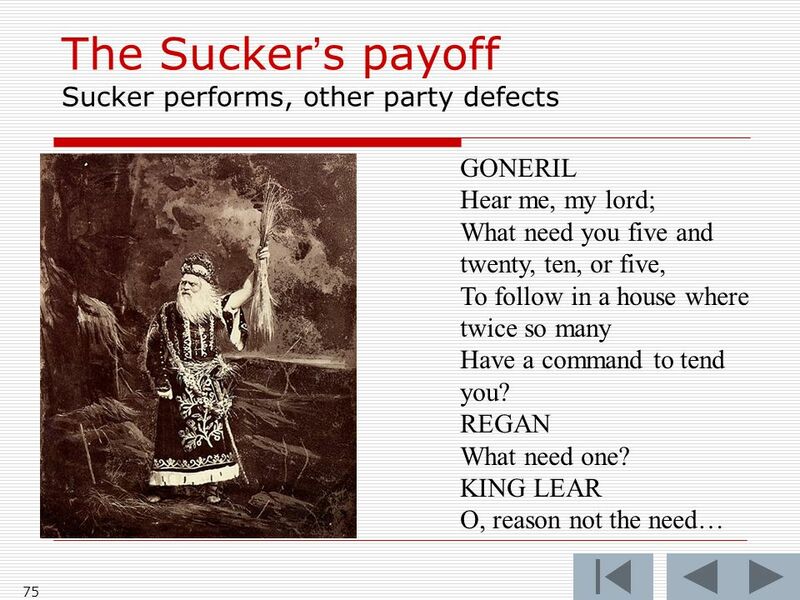 But he did a very foolish thing. 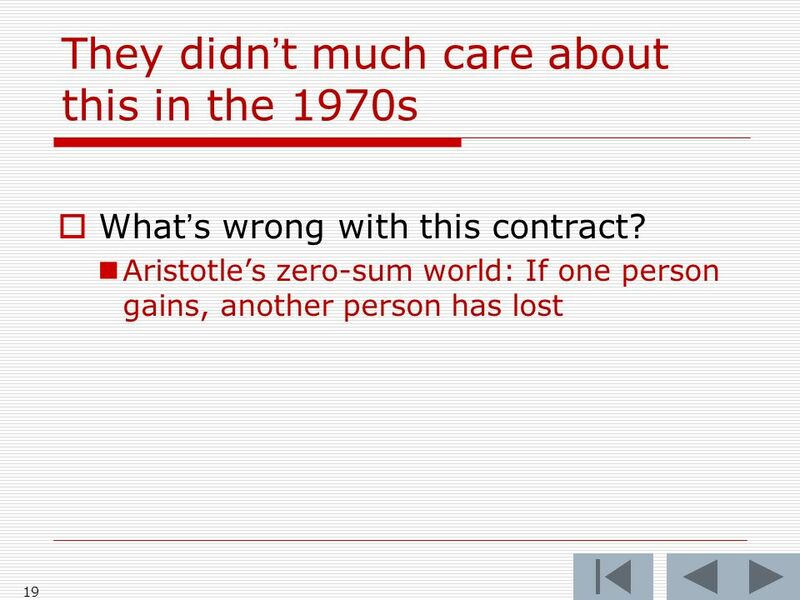 He mortgaged it to the bank. 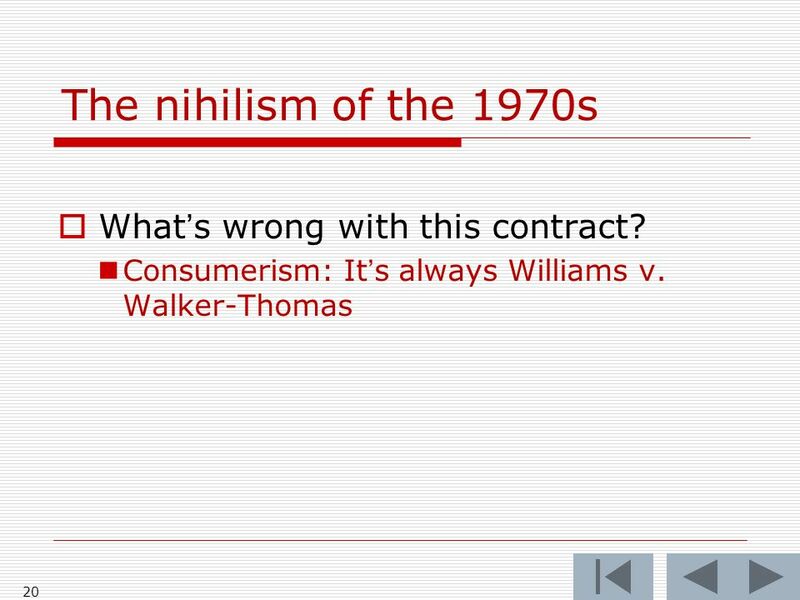 To the very hilt. 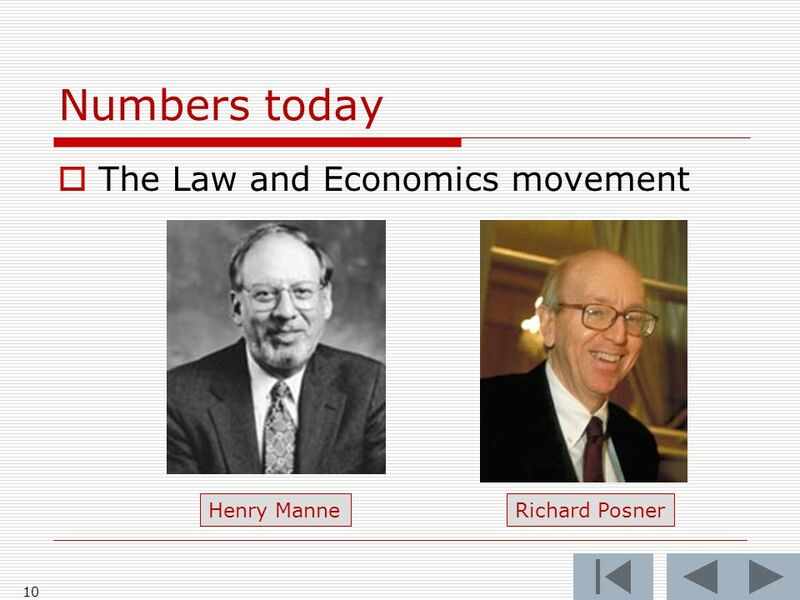 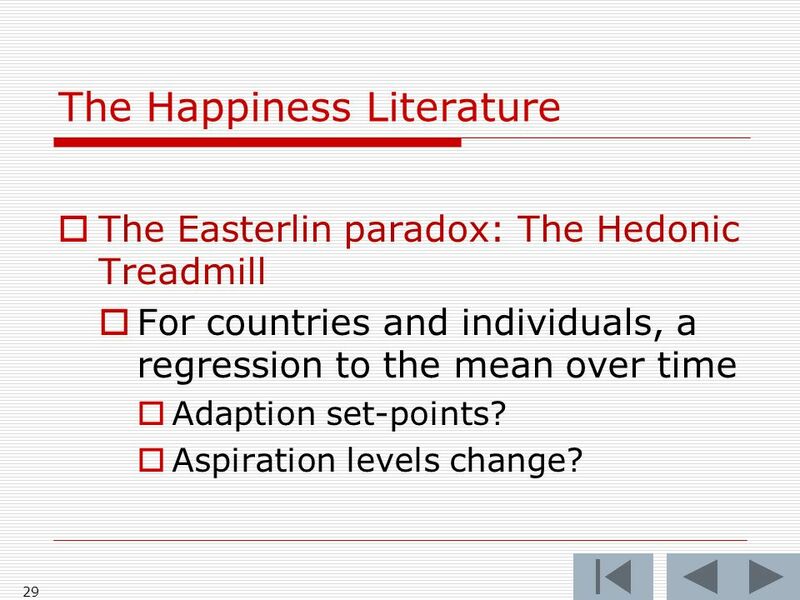 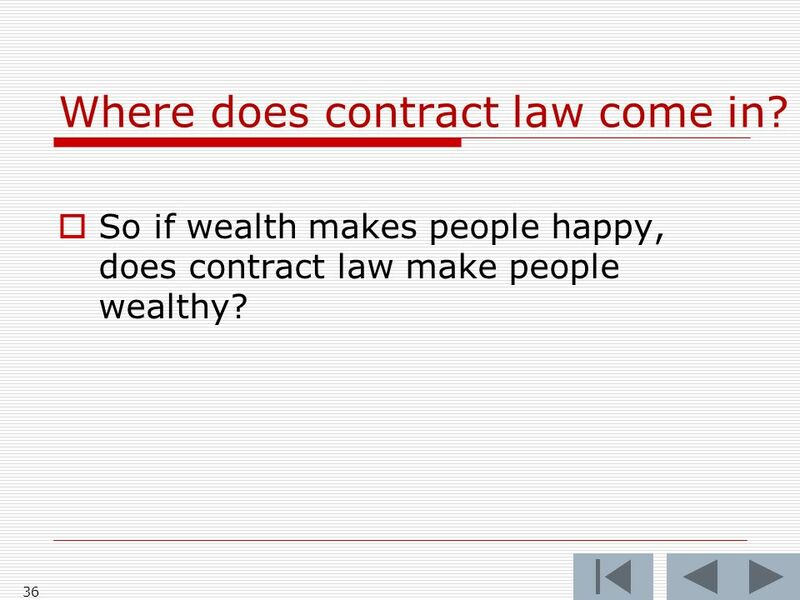 Per Lord Denning M.R. 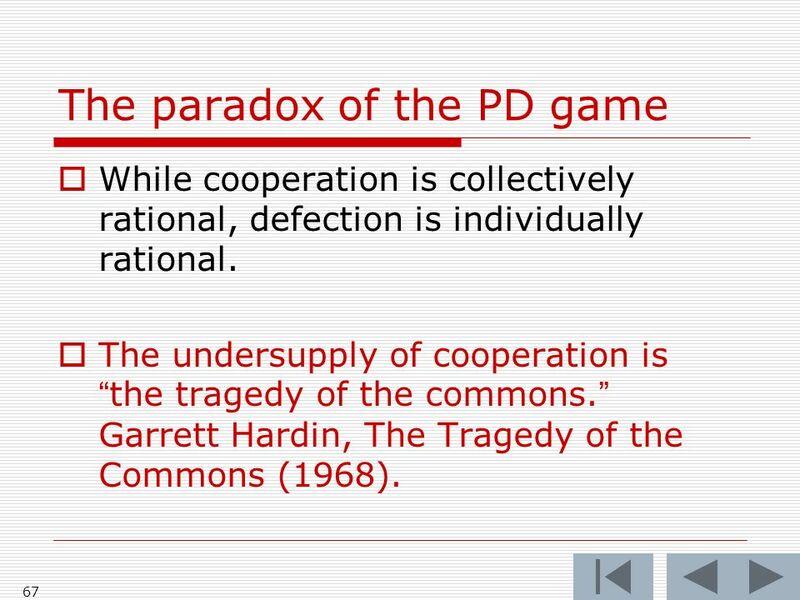 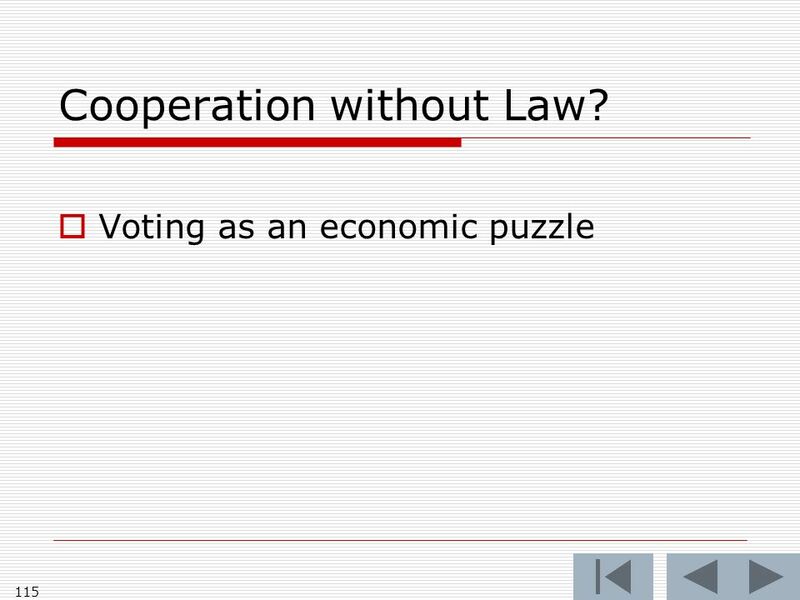 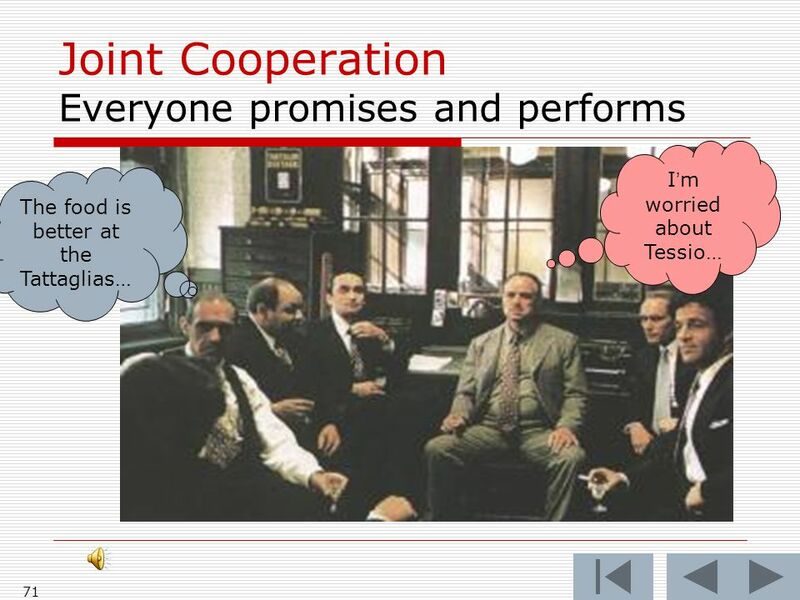 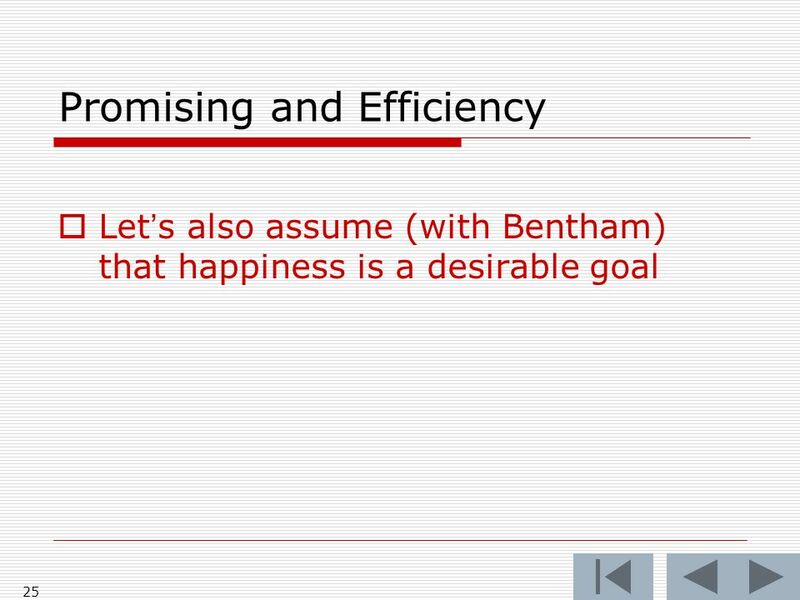 39 39 The paradox of the PD game While cooperation is collectively rational, defection is individually rational. 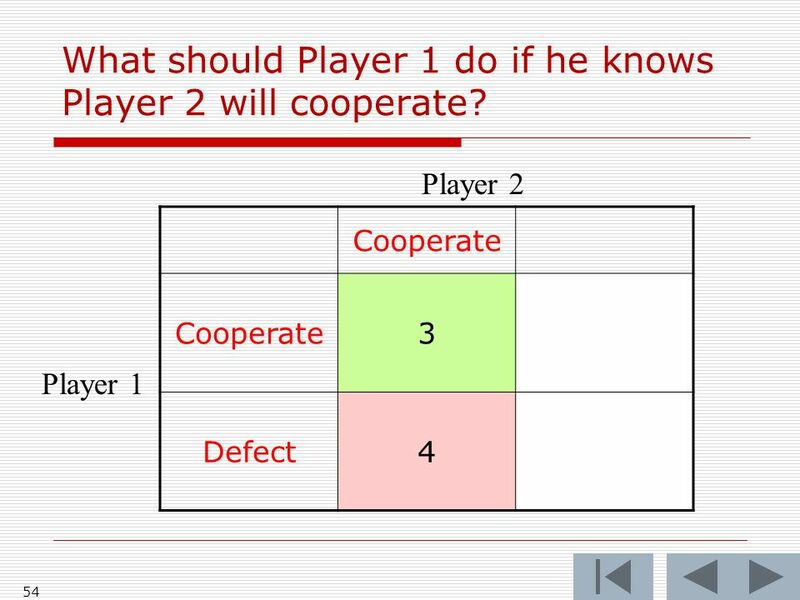 56 56 Cooperate 3 Defect4 Player 1 What should Player 1 do if he knows Player 2 will cooperate? 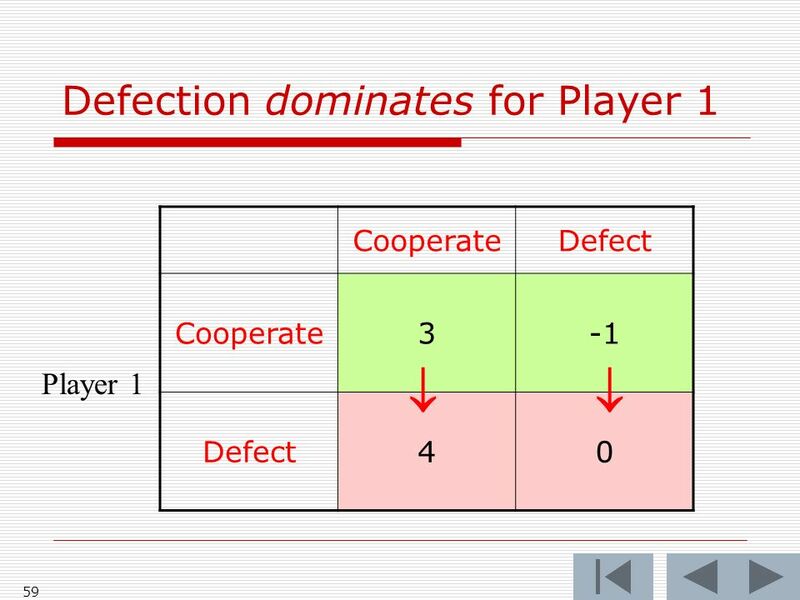 57 57 Defect Cooperate Defect0 Player 1 What should Player 1 do if he knows Player 2 will defect? 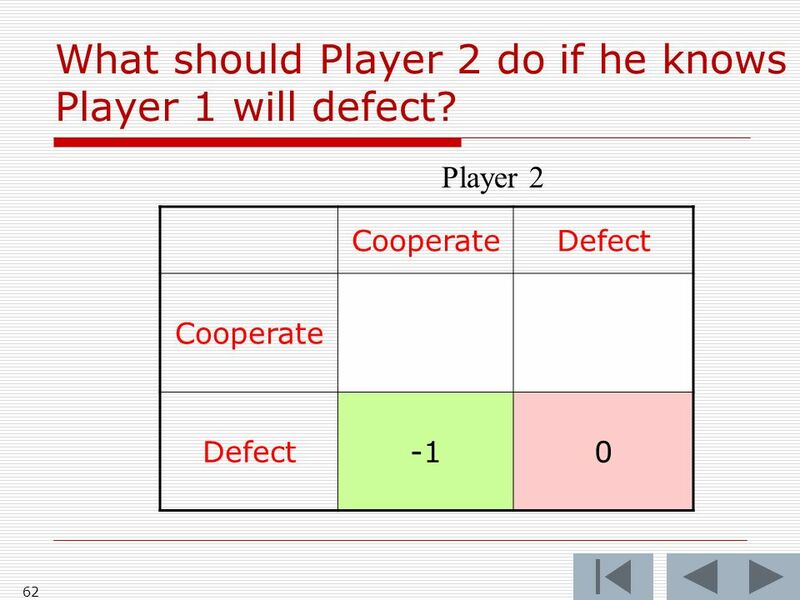 58 58 Defect Cooperate Defect0 Player 1 What should Player 1 do if he knows Player 2 will defect? 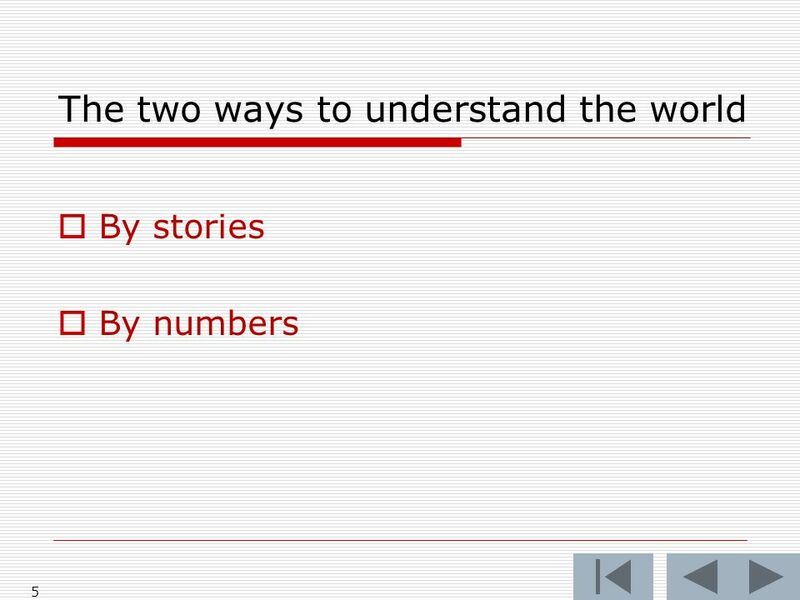 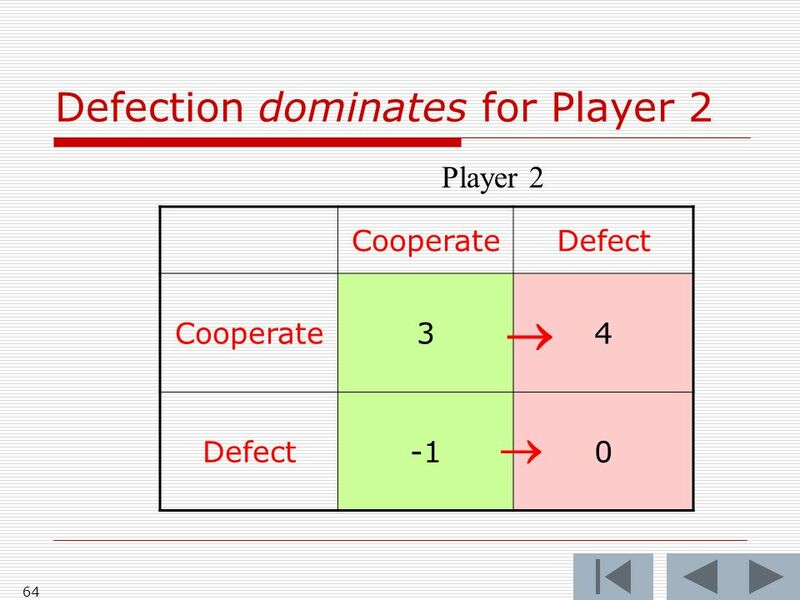 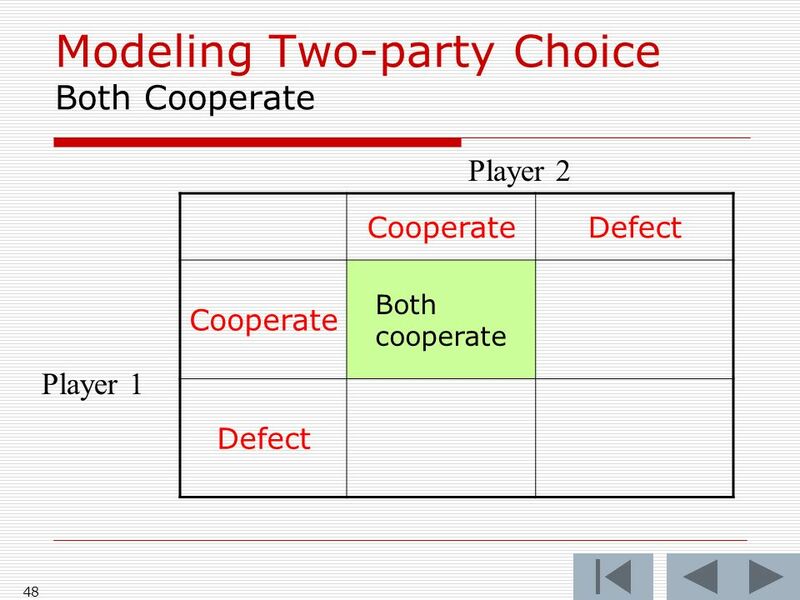 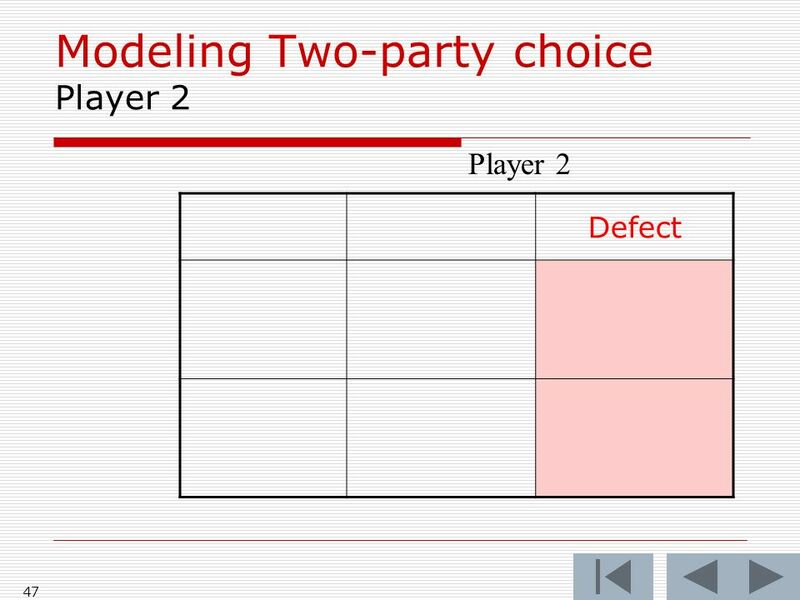 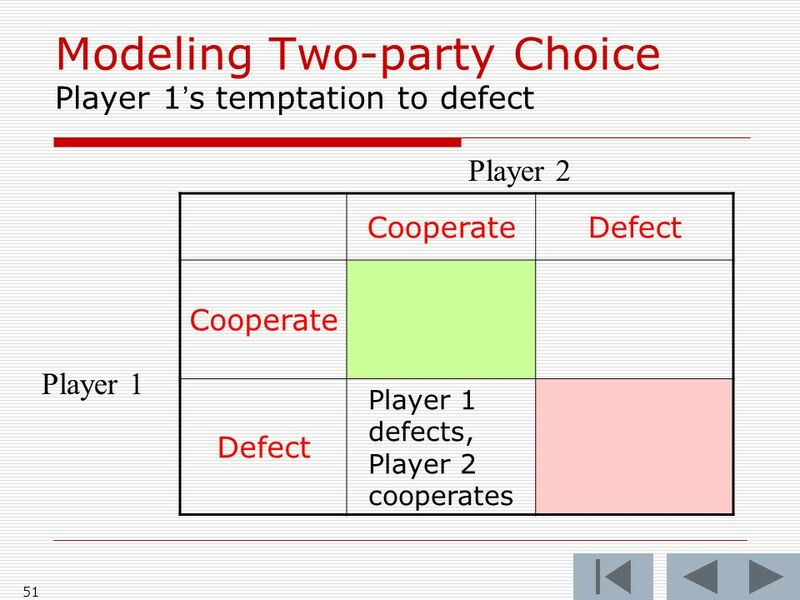 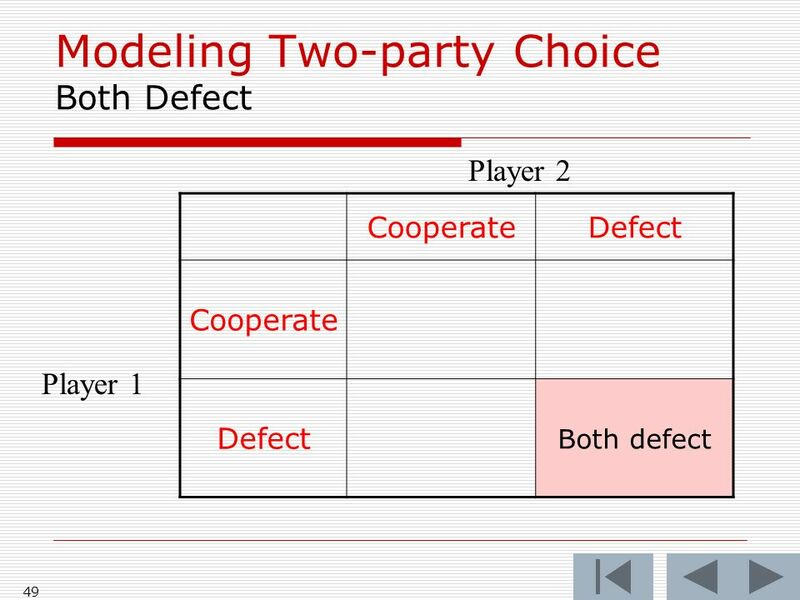 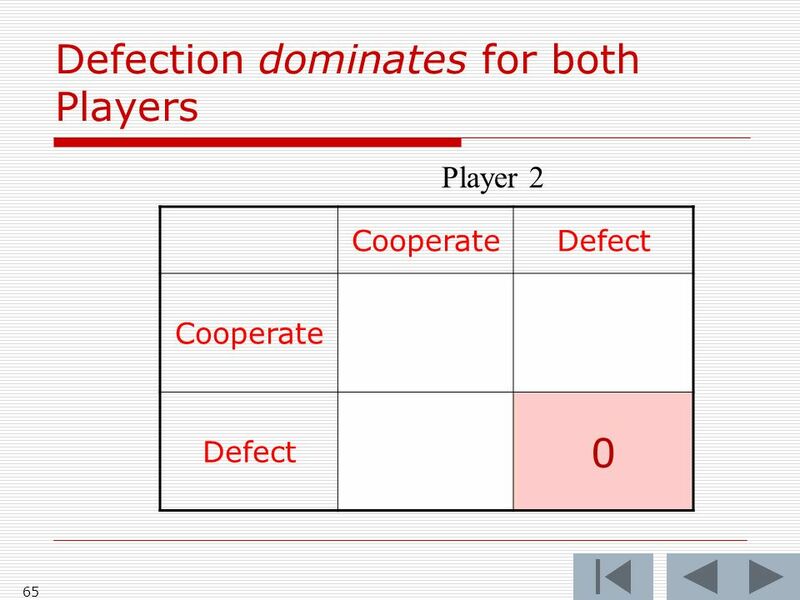 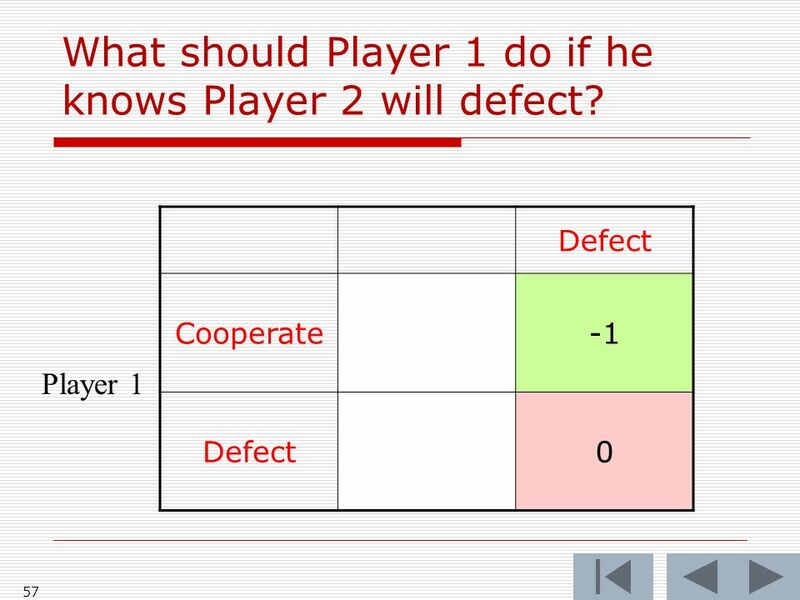 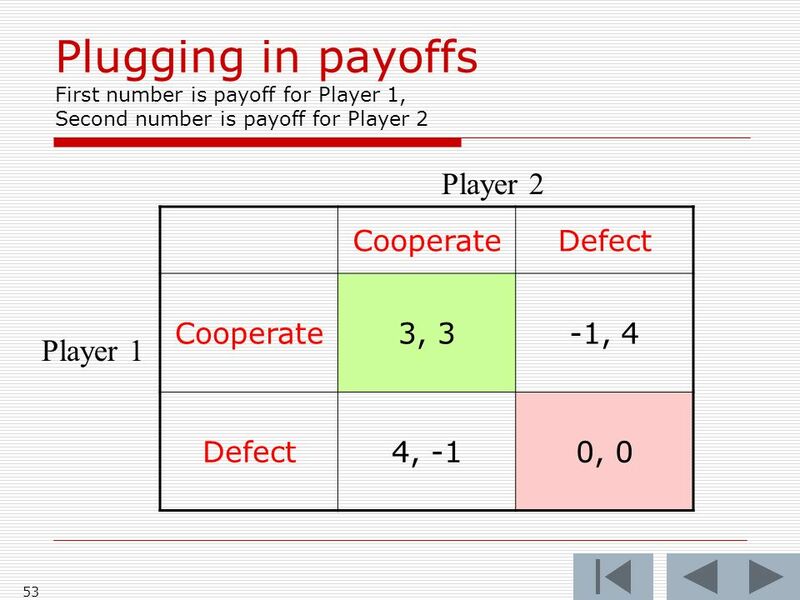 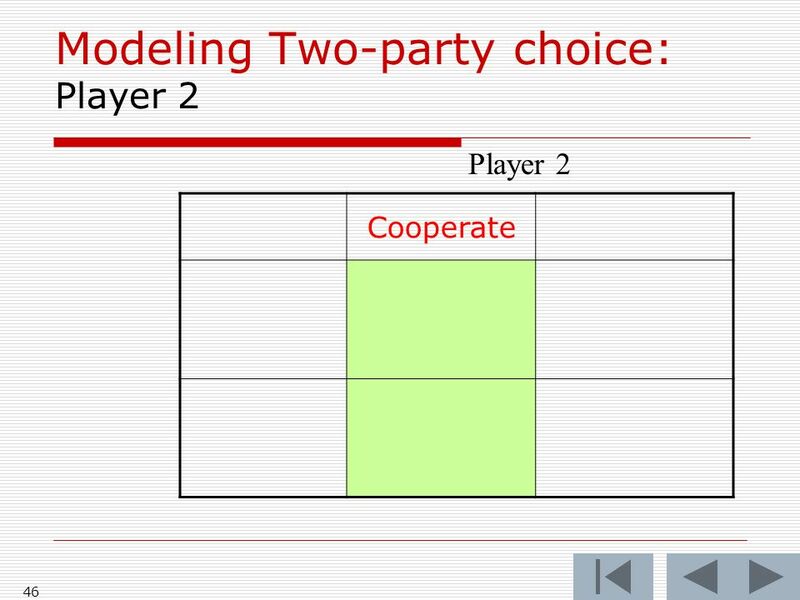 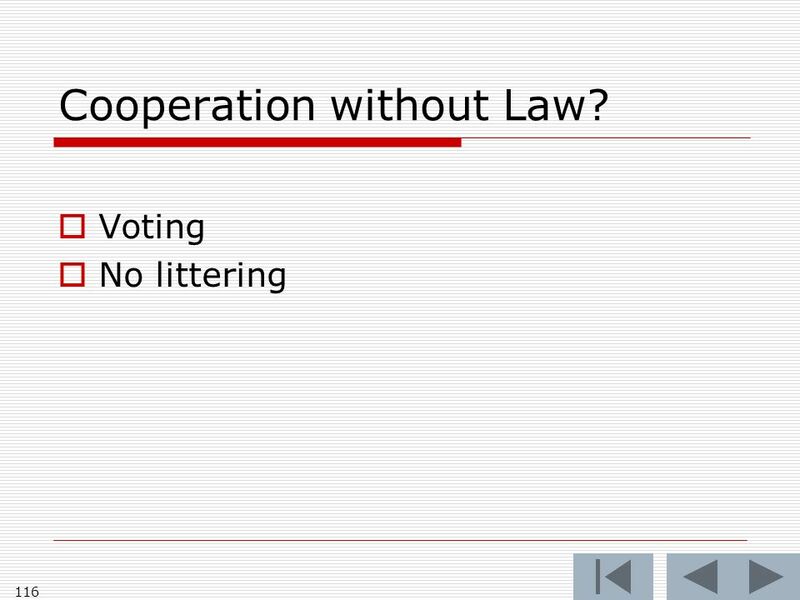 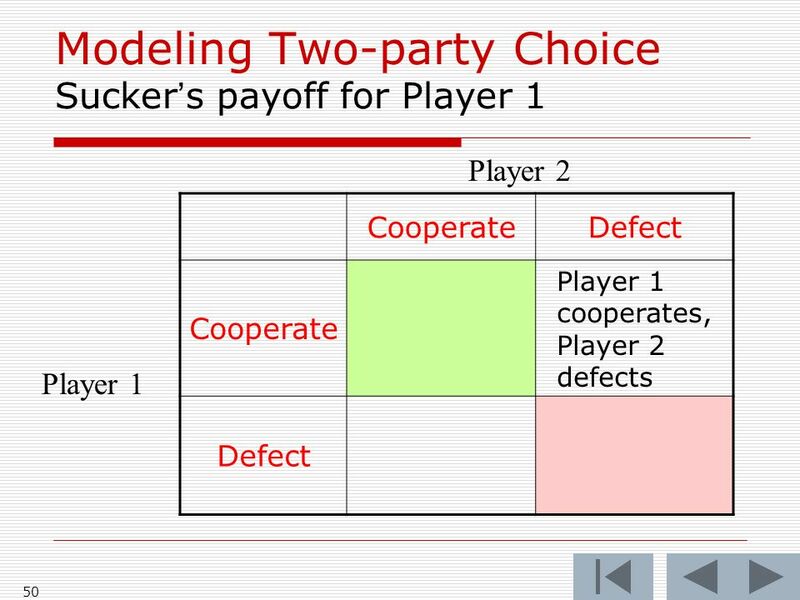 60 60 CooperateDefect Cooperate34 Defect Player 2 What should Player 2 do if he knows Player 1 will cooperate? 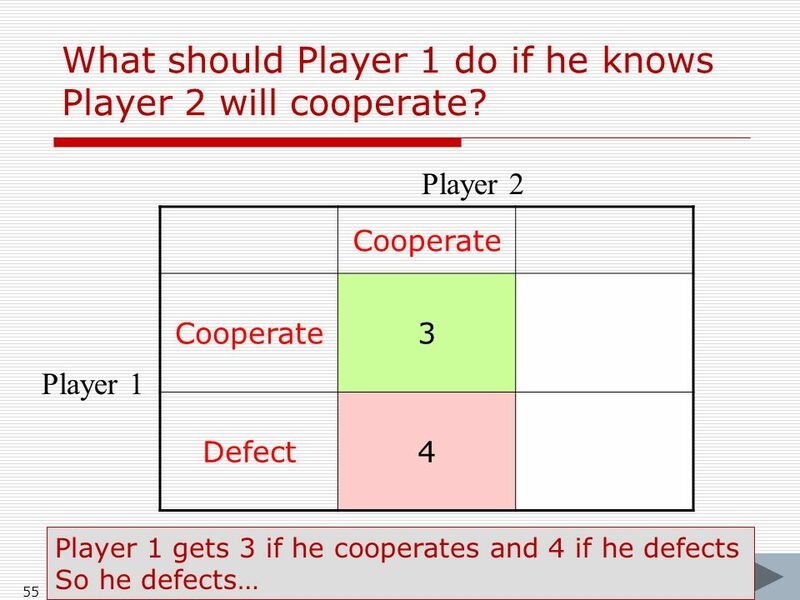 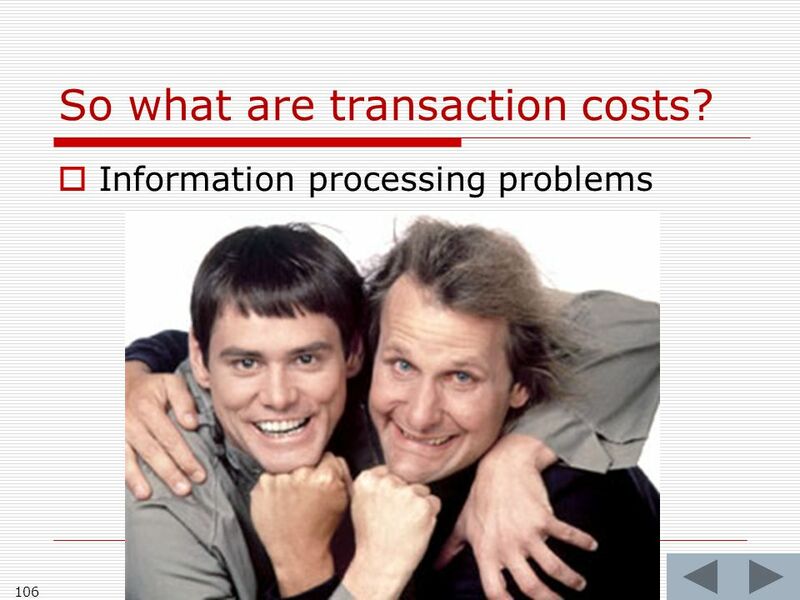 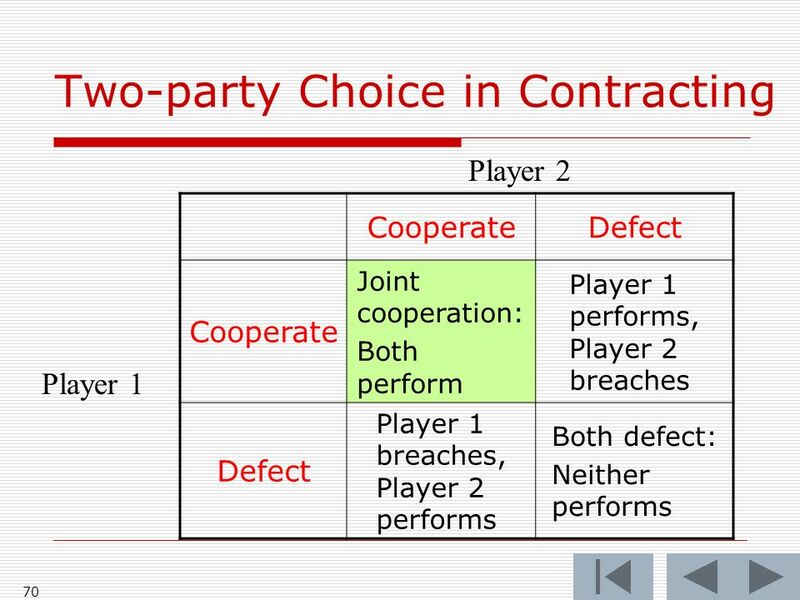 61 61 CooperateDefect Cooperate34 Defect Player 2 What should Player 2 do if he knows Player 1 will cooperate? 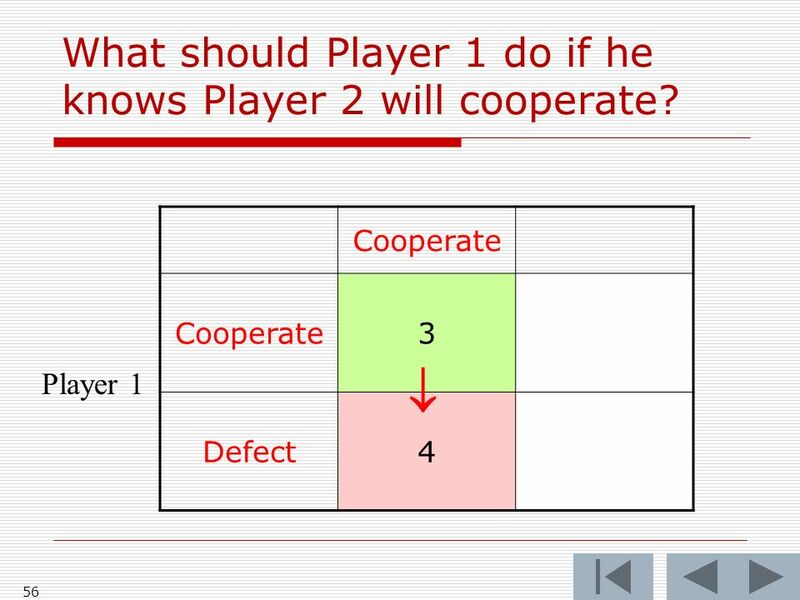 62 62 CooperateDefect Cooperate Defect0 Player 2 What should Player 2 do if he knows Player 1 will defect? 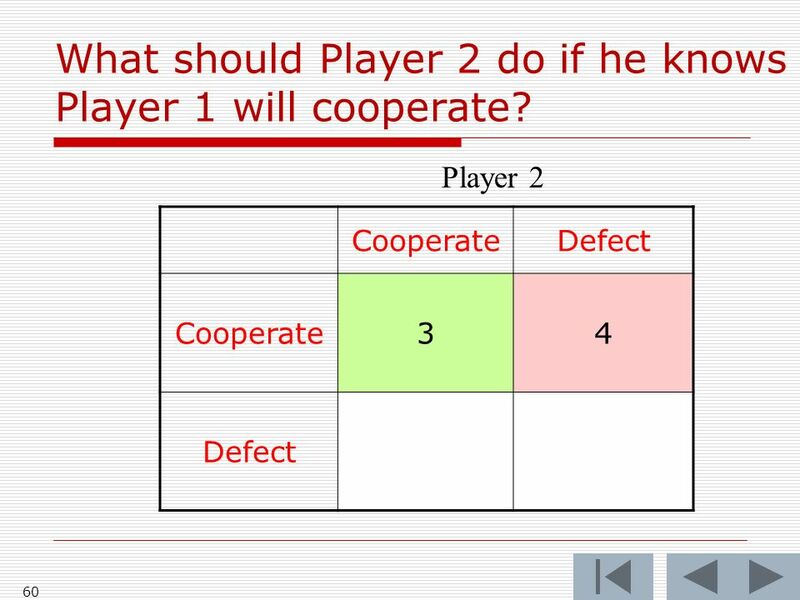 63 63 CooperateDefect Cooperate Defect0 Player 2 What should Player 2 do if he knows Player 1 will defect? 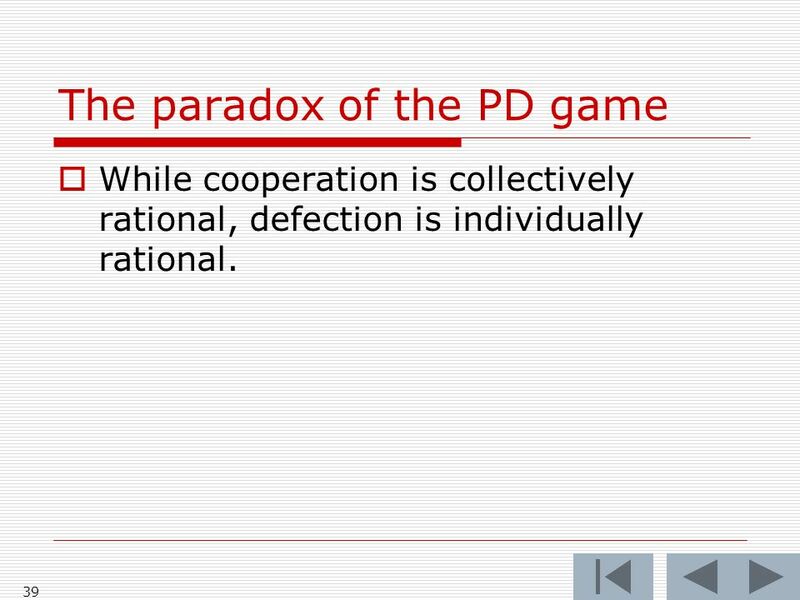 66 66 The paradox of the PD game While cooperation is collectively rational, defection is individually rational. 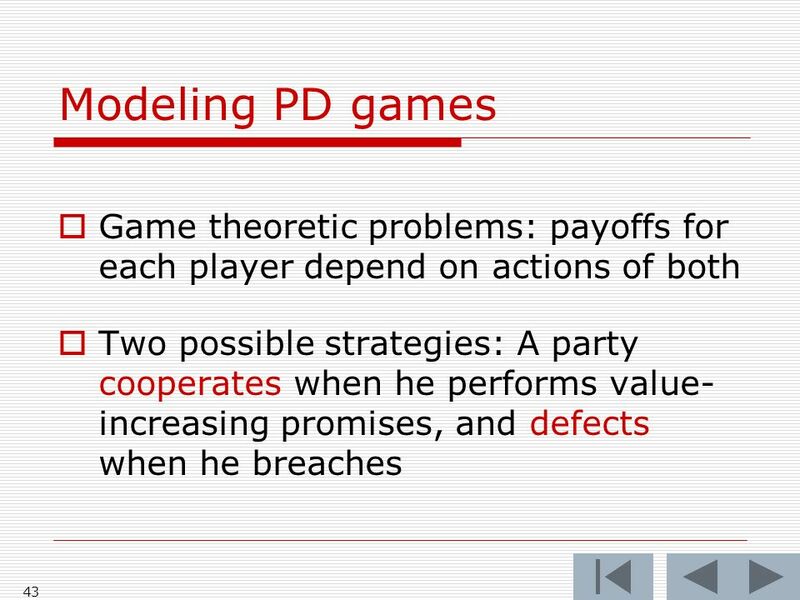 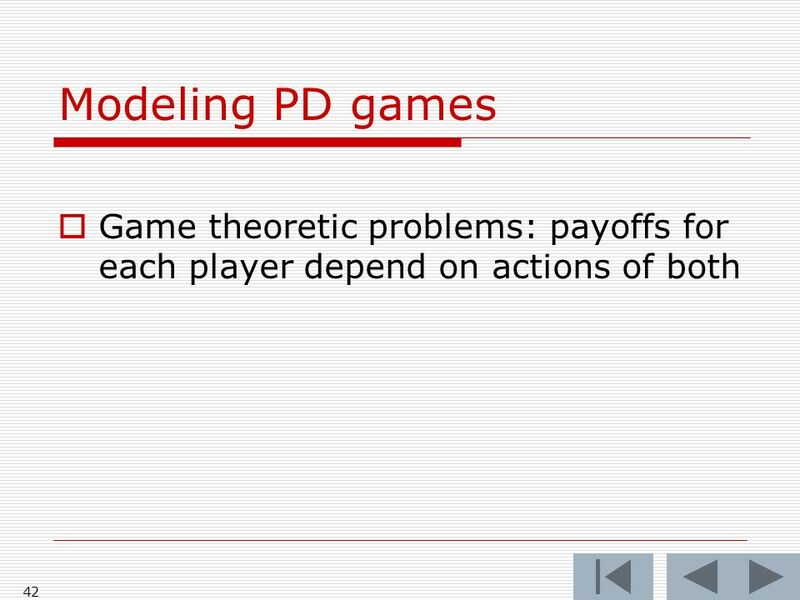 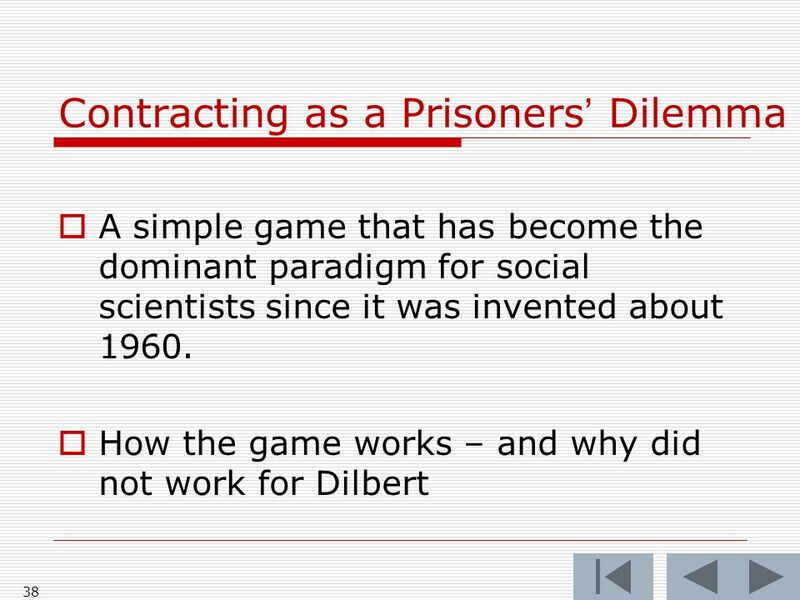 67 67 The paradox of the PD game While cooperation is collectively rational, defection is individually rational. 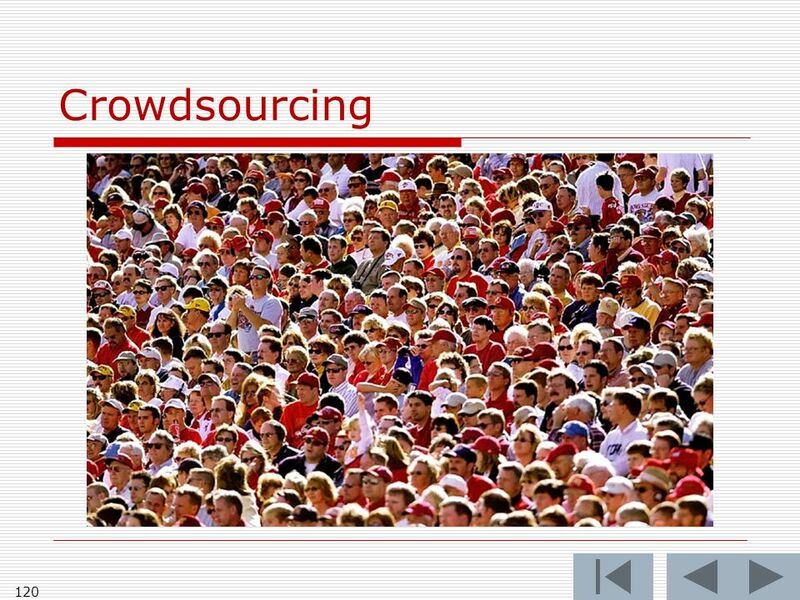 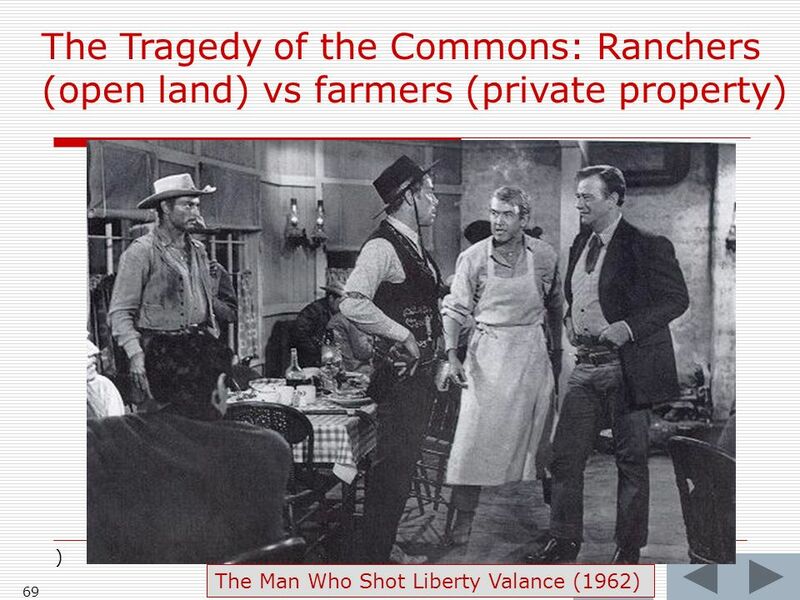 The undersupply of cooperation isthe tragedy of the commons. 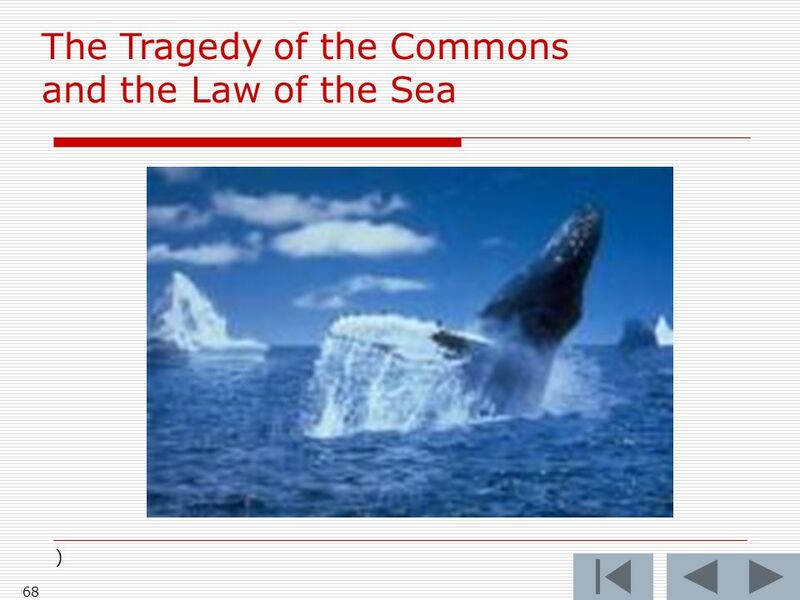 Garrett Hardin, The Tragedy of the Commons (1968). 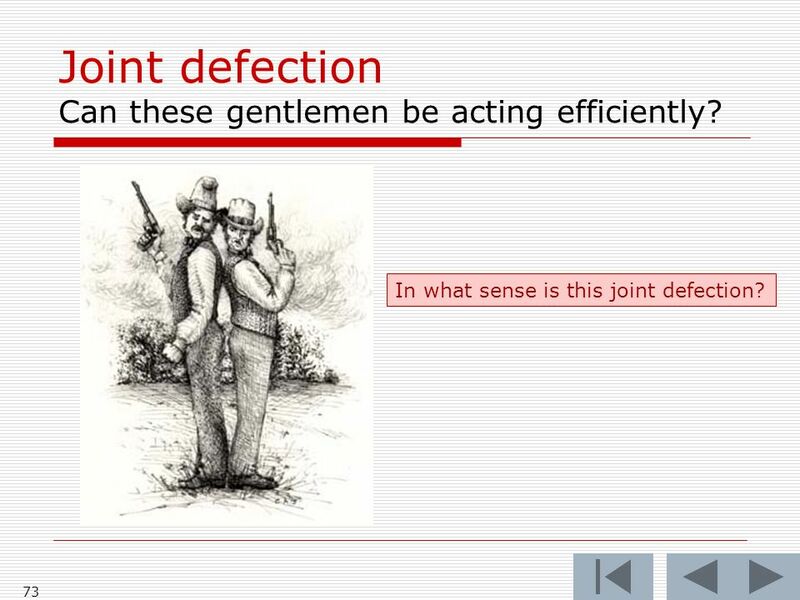 73 73 Joint defection Can these gentlemen be acting efficiently? 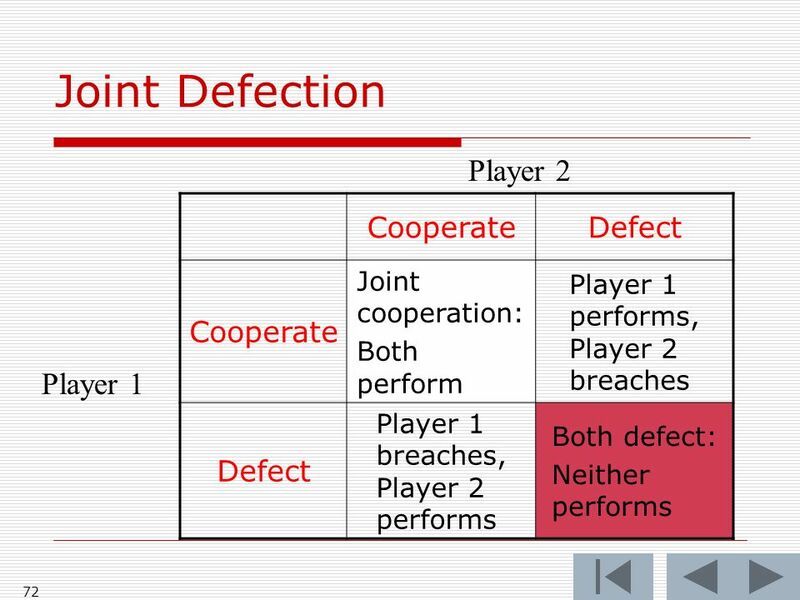 In what sense is this joint defection? 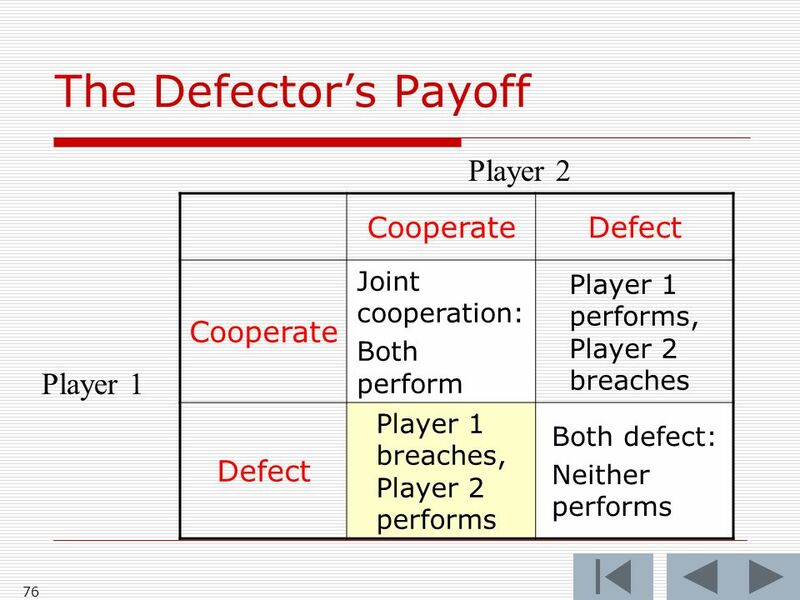 77 77 The Defectors Payoff Defector breaches, sucker performs Gov. 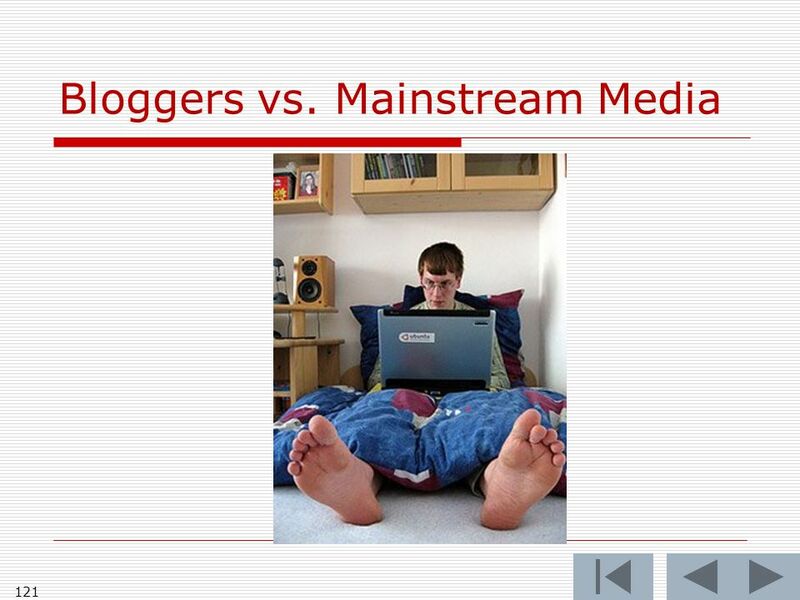 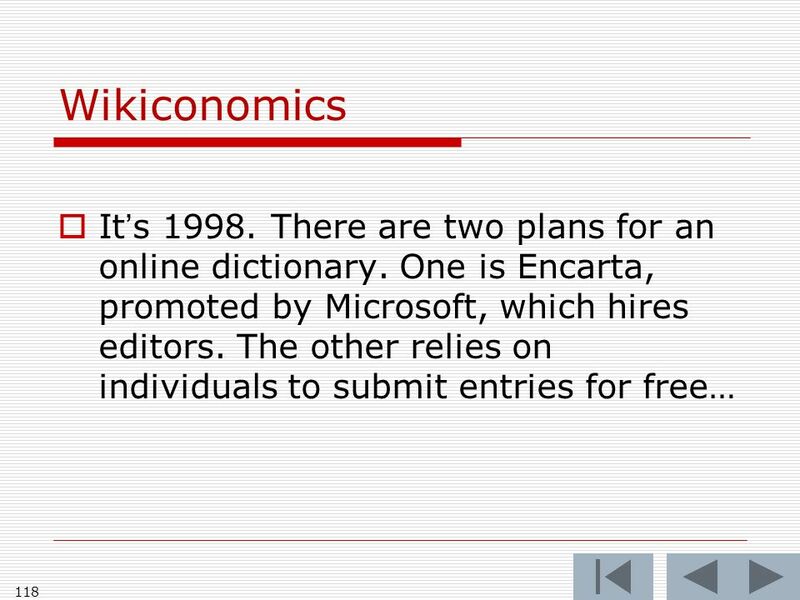 Earl K. Long "Don't write anything you can phone. 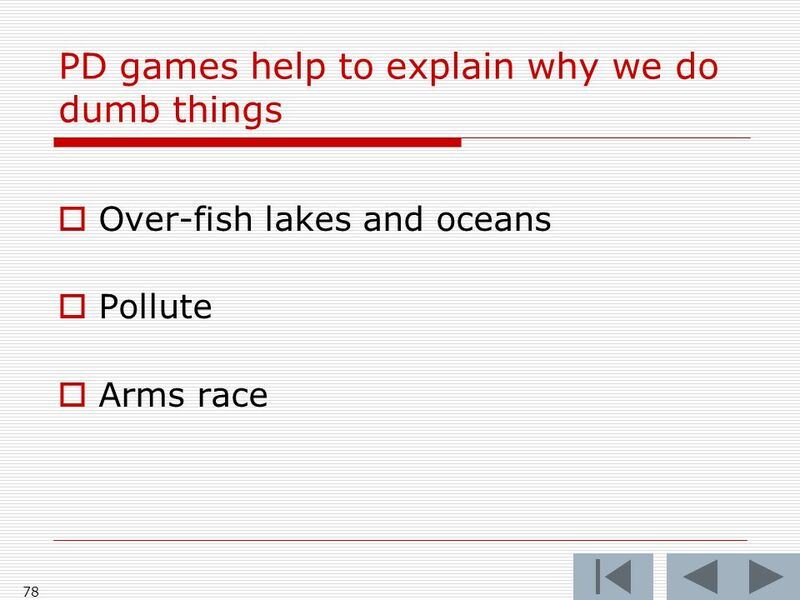 Don't phone anything you can talk. 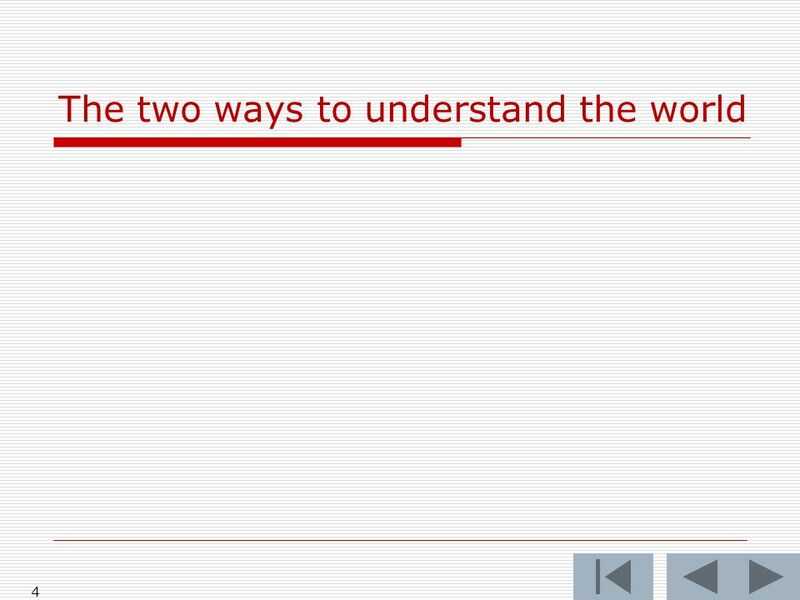 Don't talk anything you can whisper. 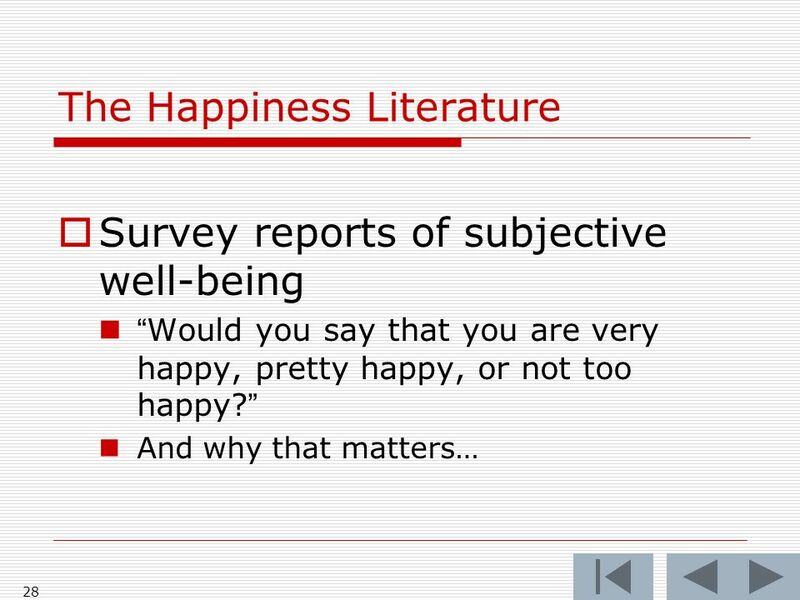 Don't whisper anything you can smile. 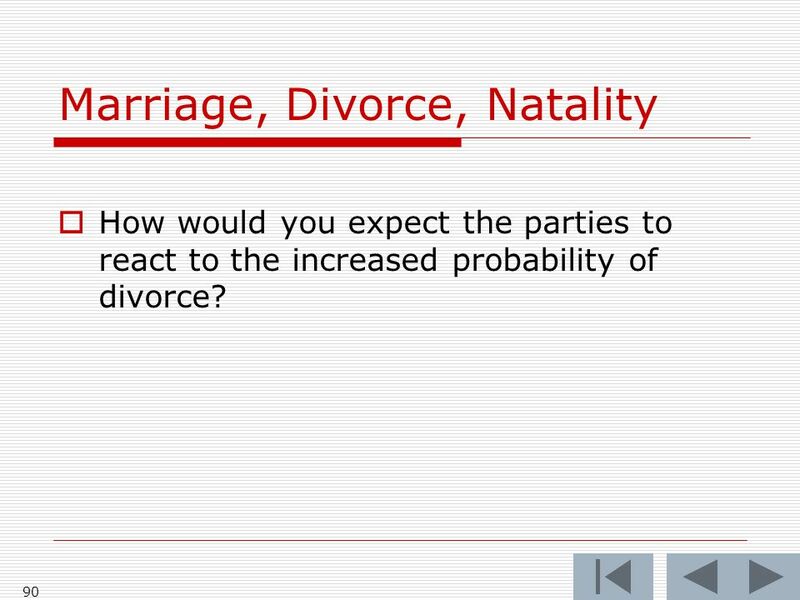 Don't smile anything you can nod. 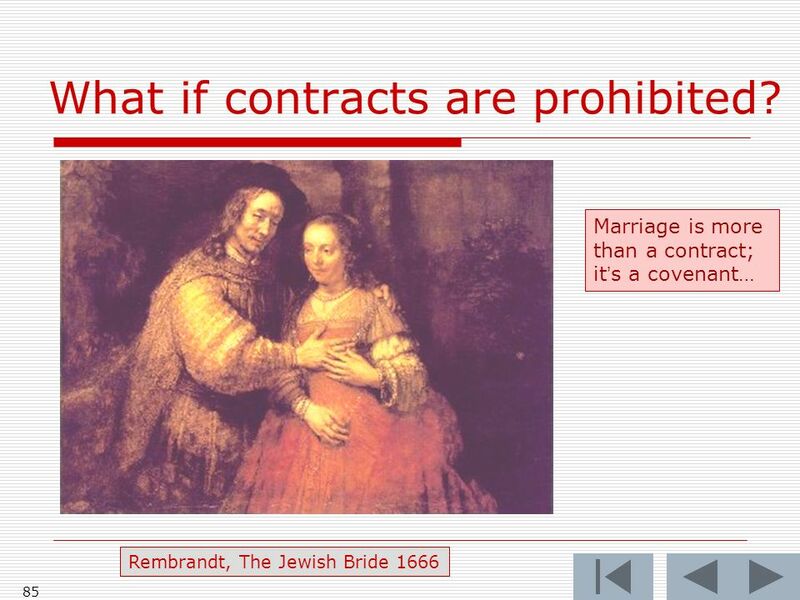 Don't nod anything you can wink." 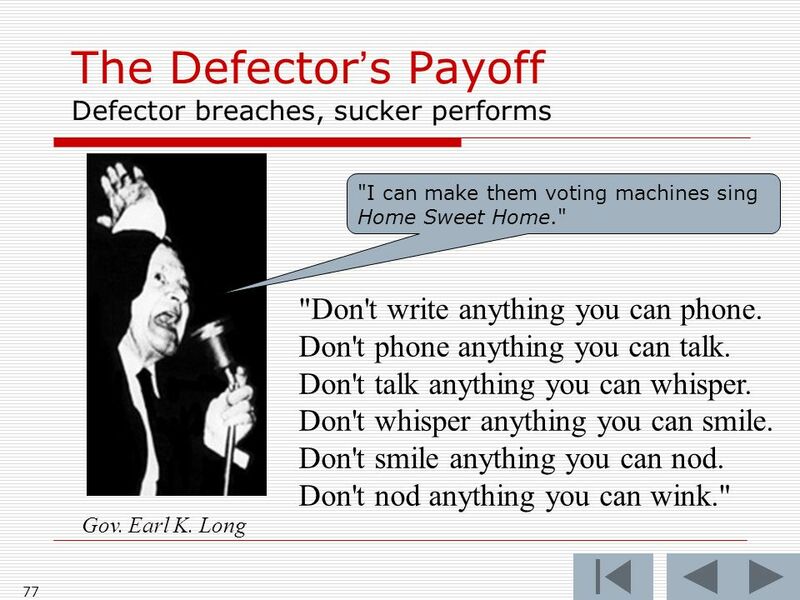 "I can make them voting machines sing Home Sweet Home." 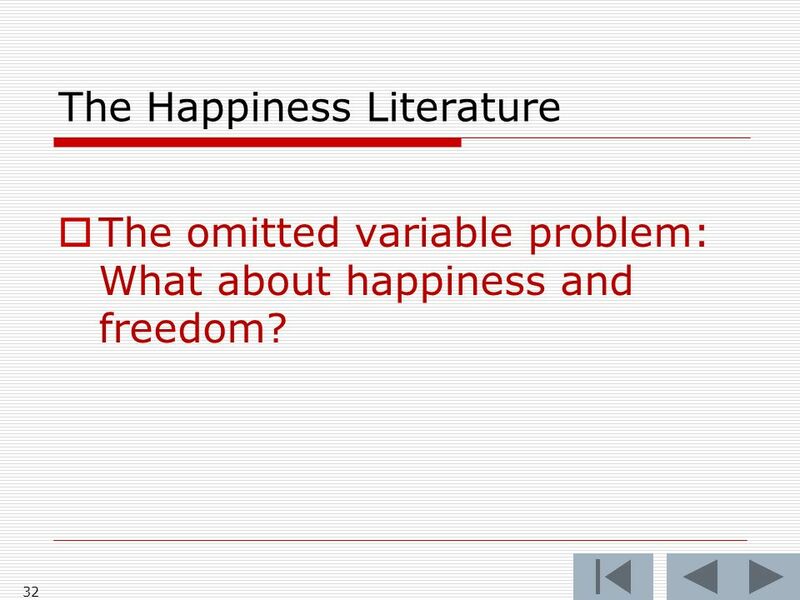 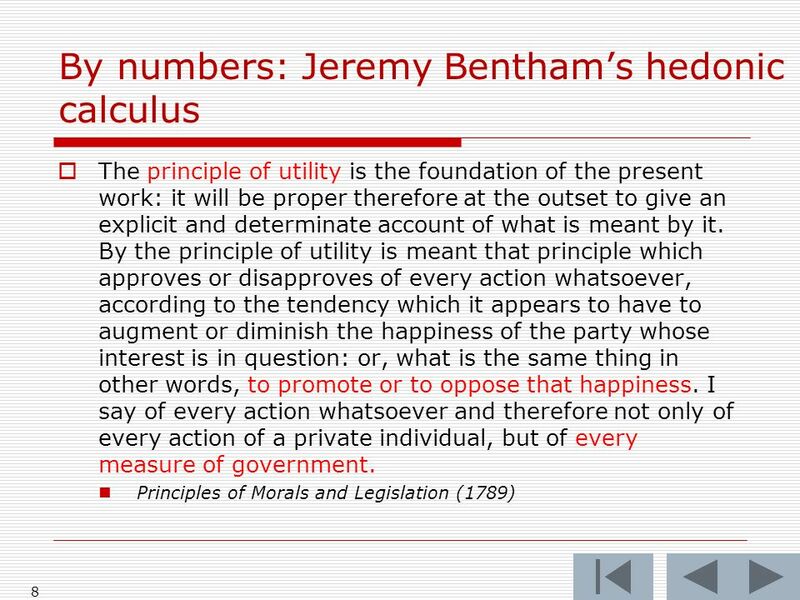 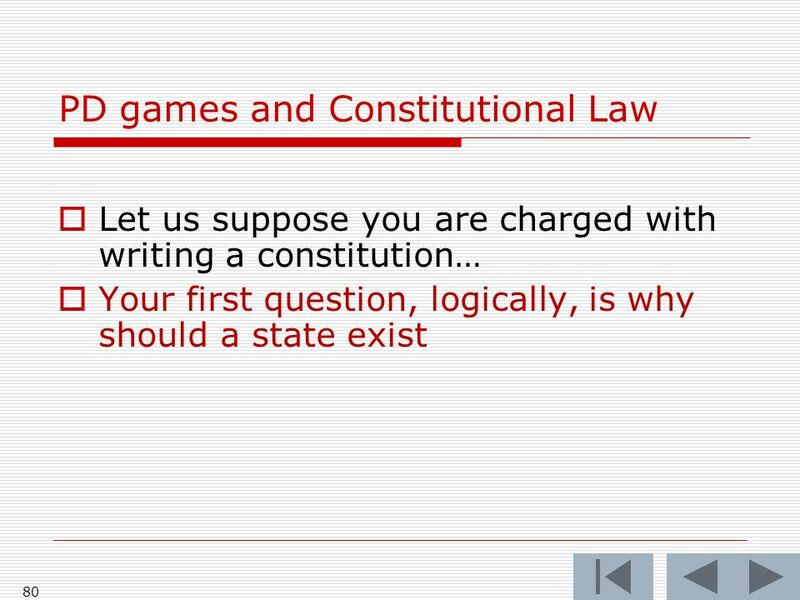 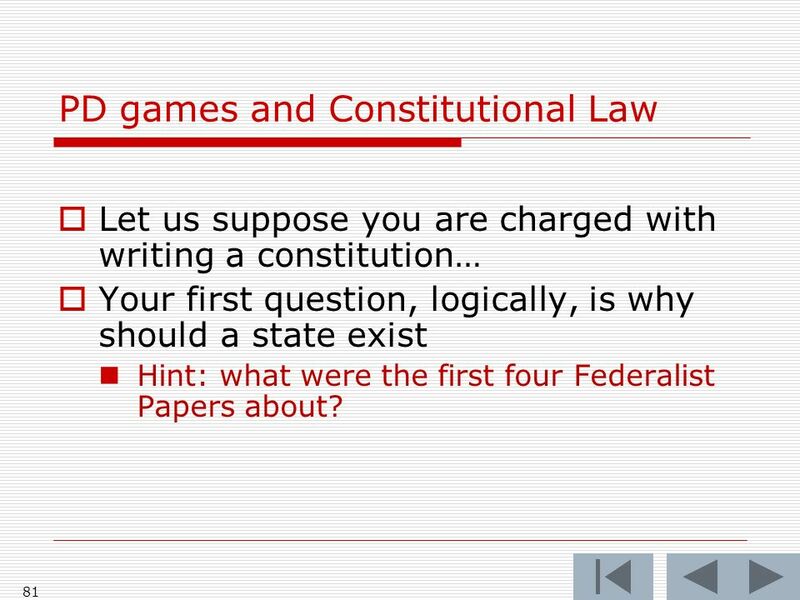 81 81 PD games and Constitutional Law Let us suppose you are charged with writing a constitution… Your first question, logically, is why should a state exist Hint: what were the first four Federalist Papers about? 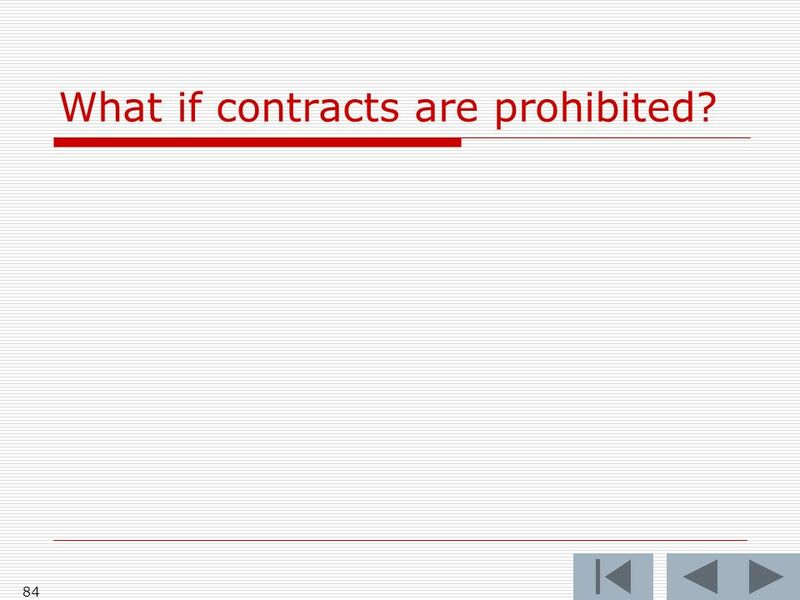 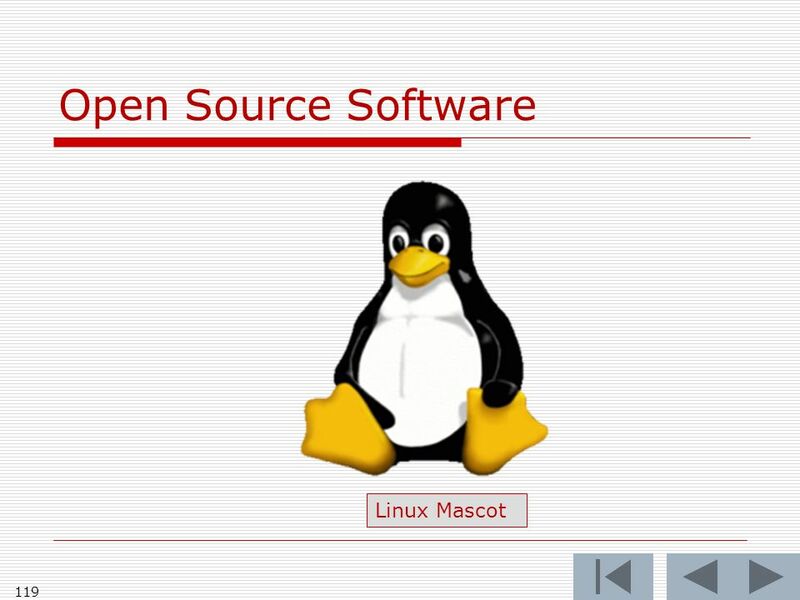 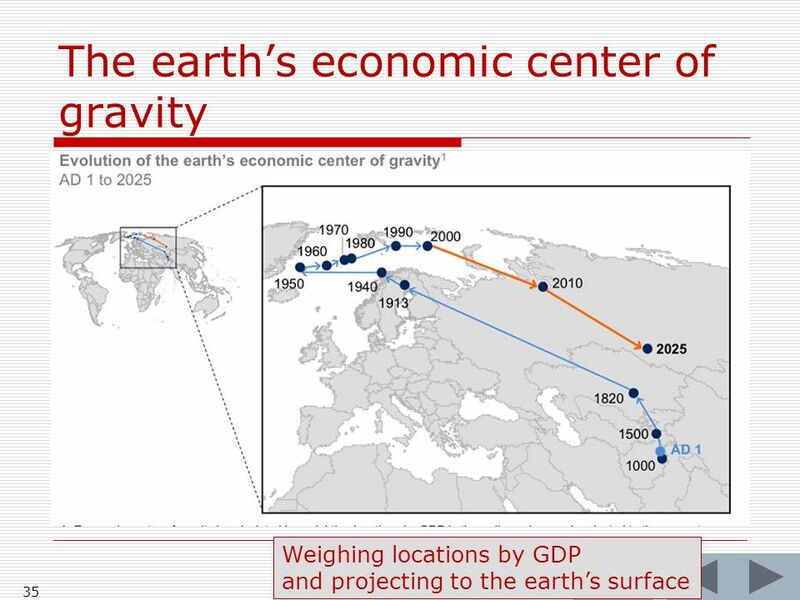 84 84 What if contracts are prohibited? 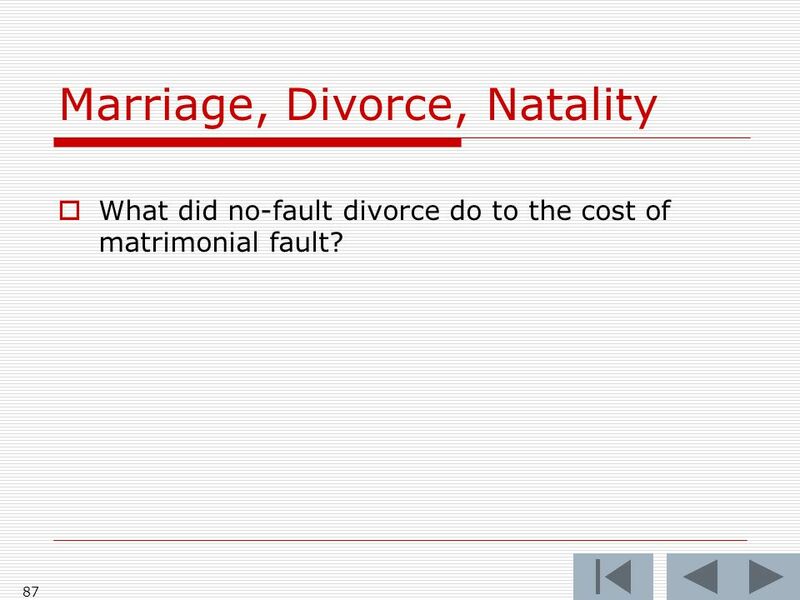 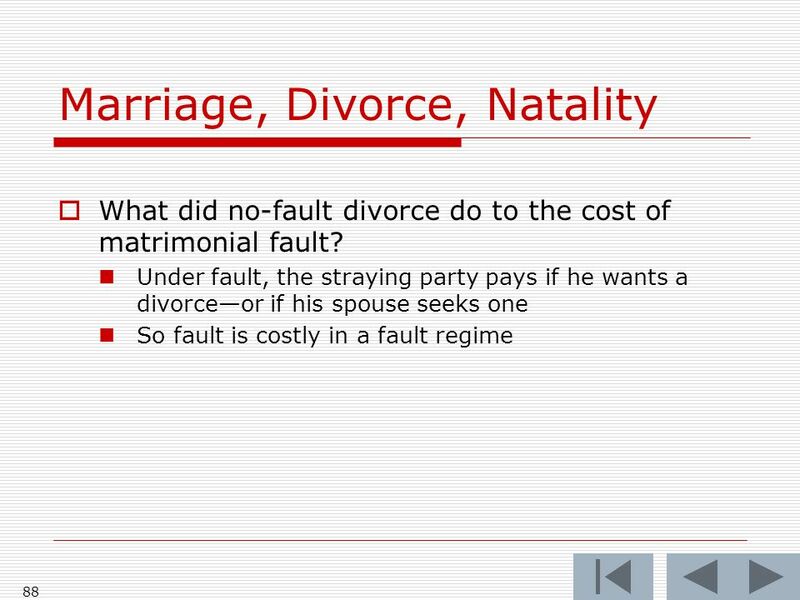 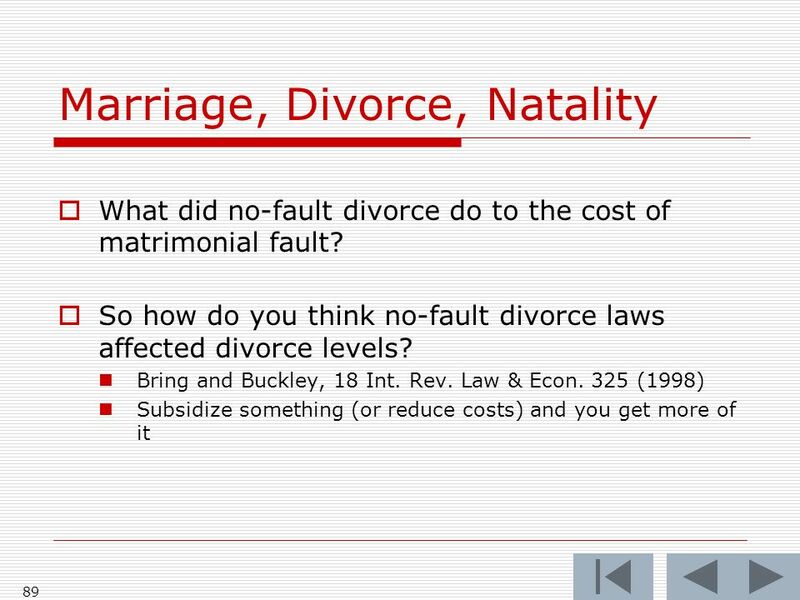 87 87 Marriage, Divorce, Natality What did no-fault divorce do to the cost of matrimonial fault? 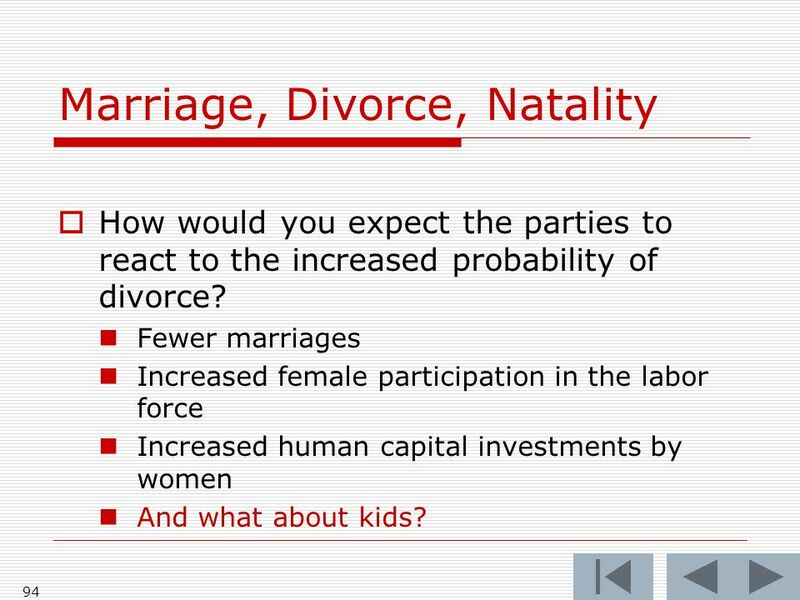 90 90 Marriage, Divorce, Natality How would you expect the parties to react to the increased probability of divorce? 94 94 Marriage, Divorce, Natality How would you expect the parties to react to the increased probability of divorce? Fewer marriages Increased female participation in the labor force Increased human capital investments by women And what about kids? 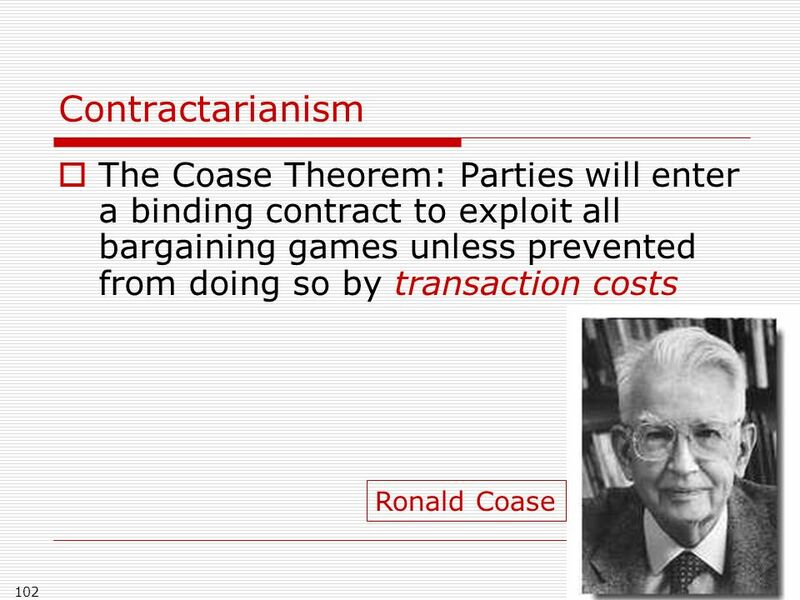 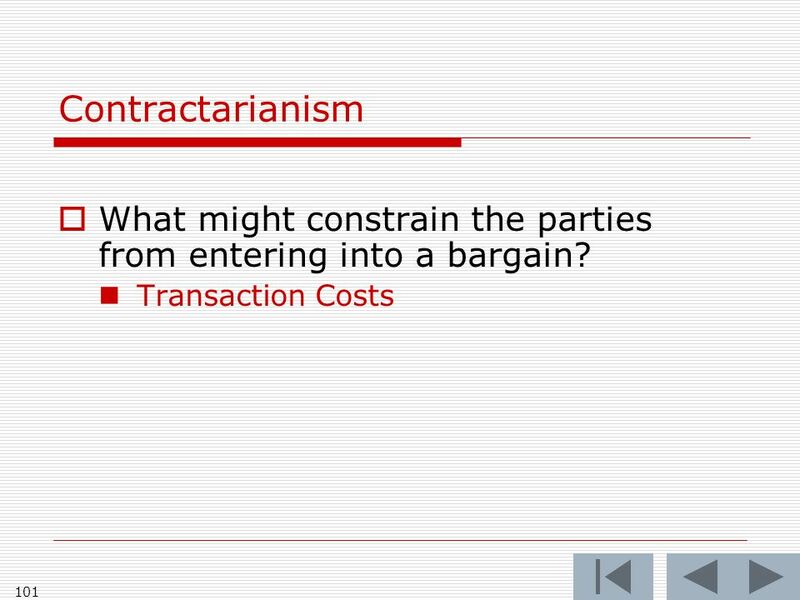 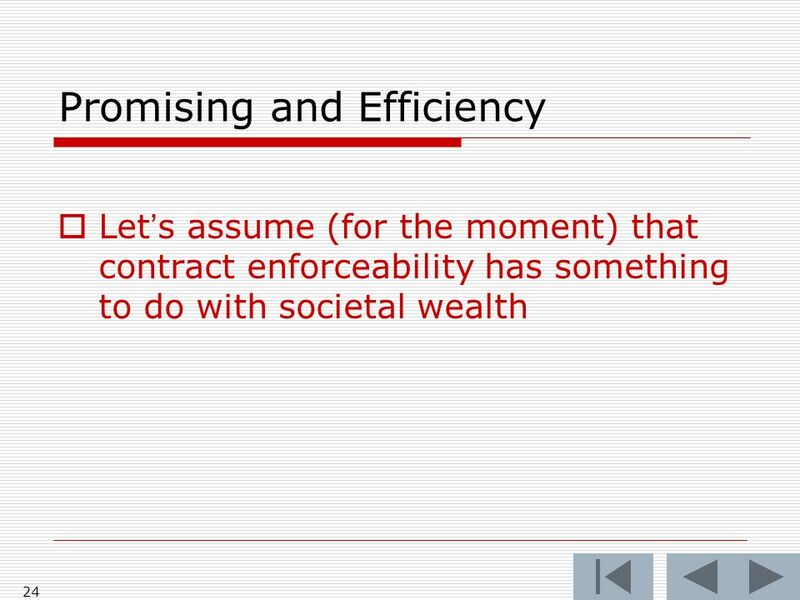 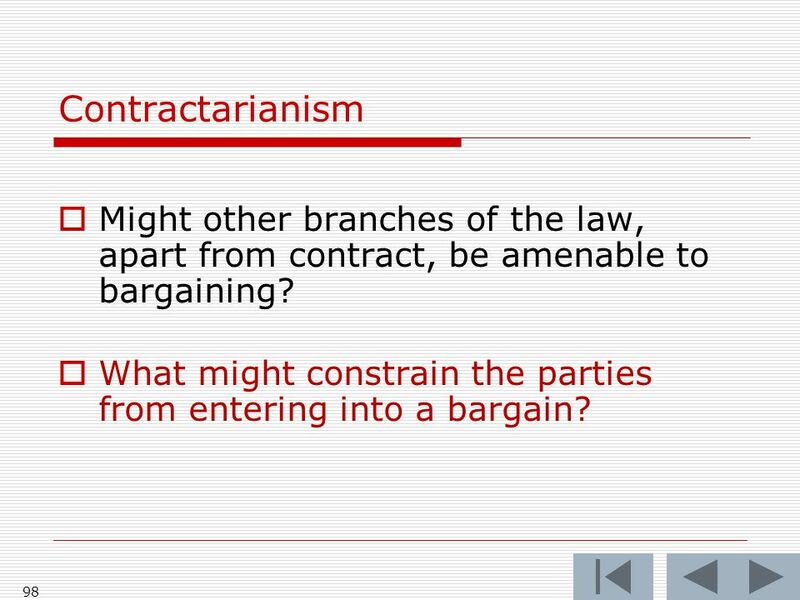 96 96 Contractarianism Might other branches of the law, apart from contract, be amenable to bargaining? 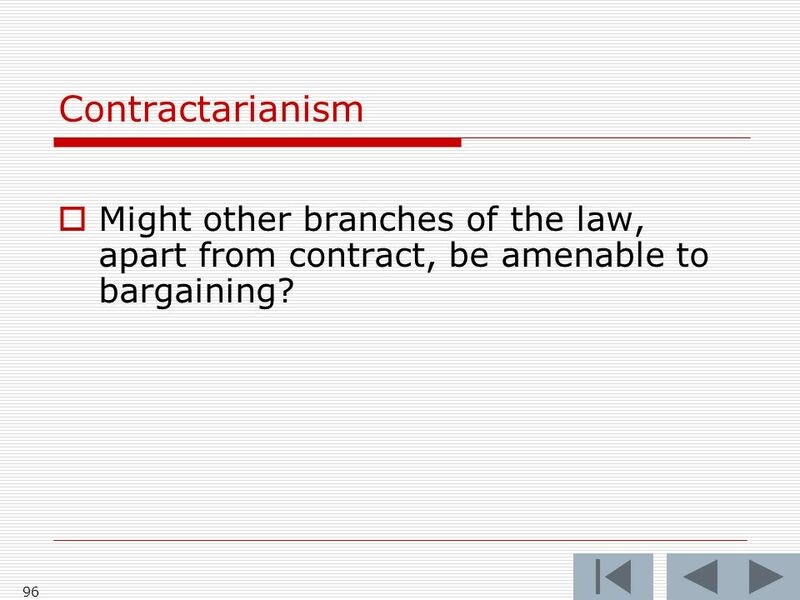 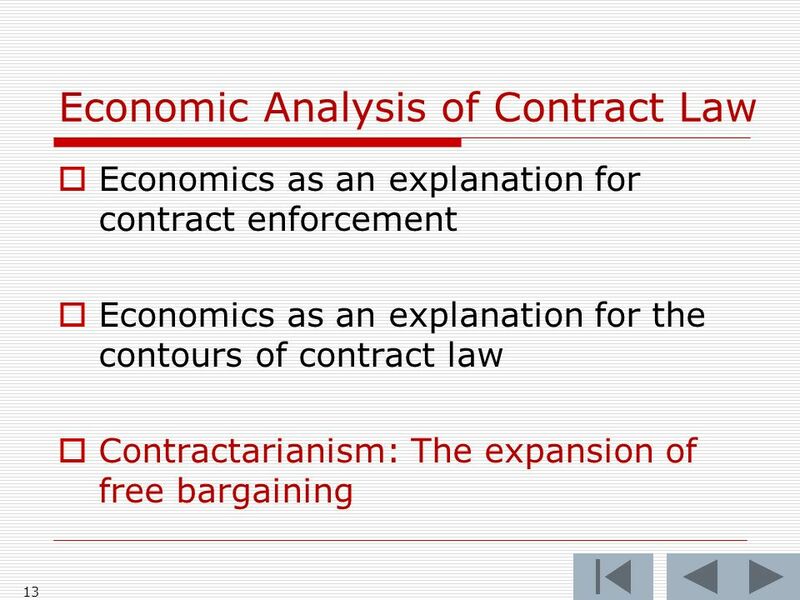 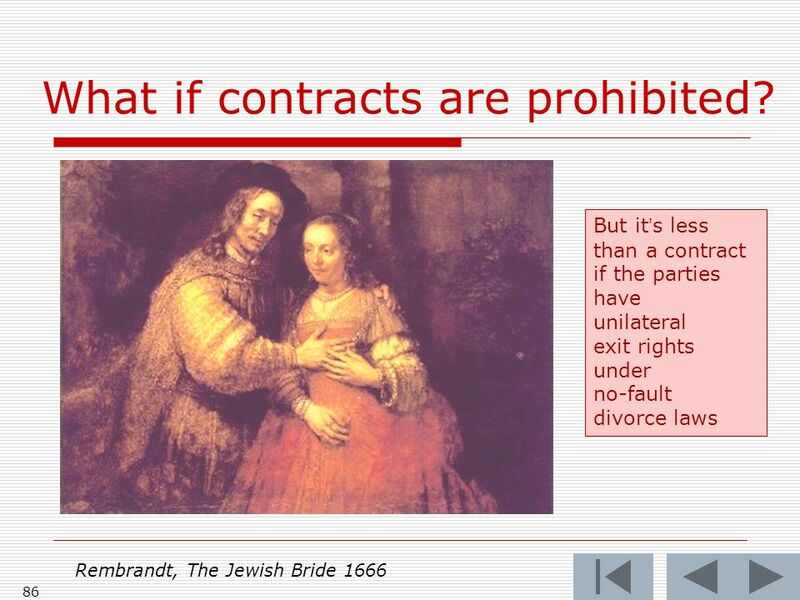 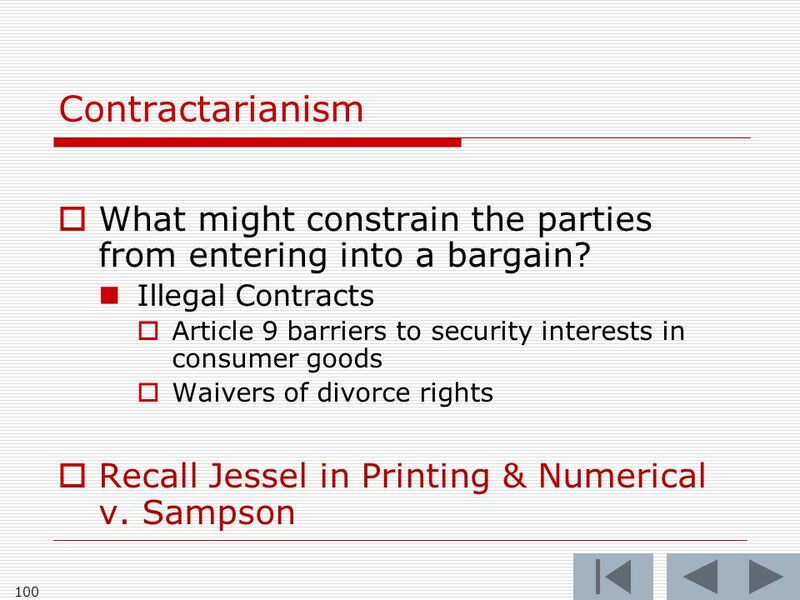 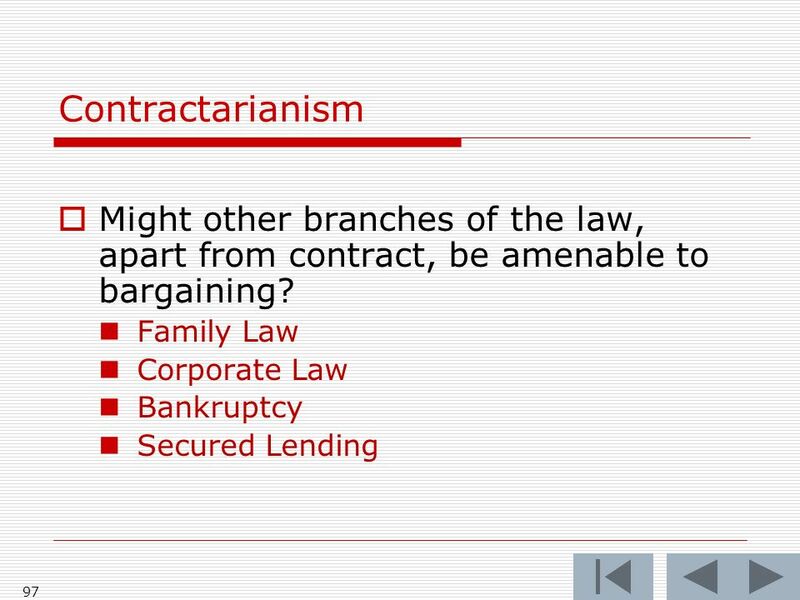 98 98 Contractarianism Might other branches of the law, apart from contract, be amenable to bargaining? 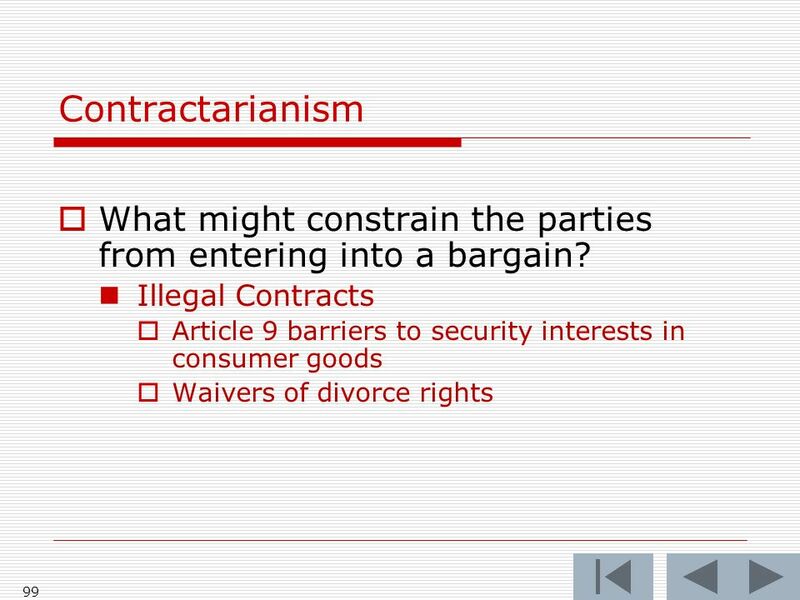 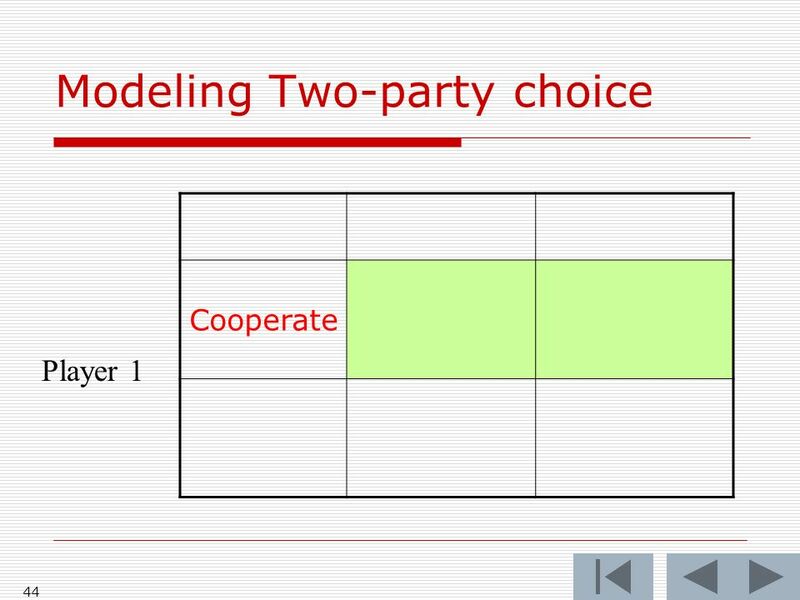 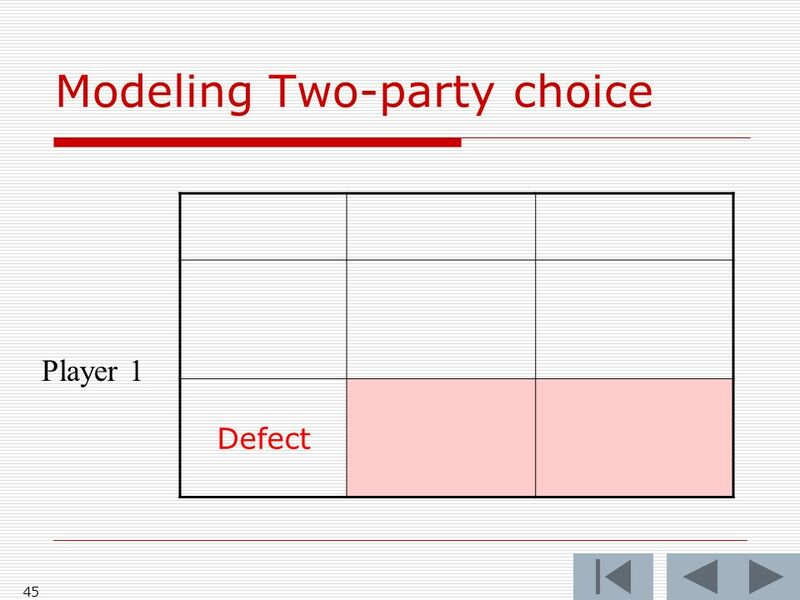 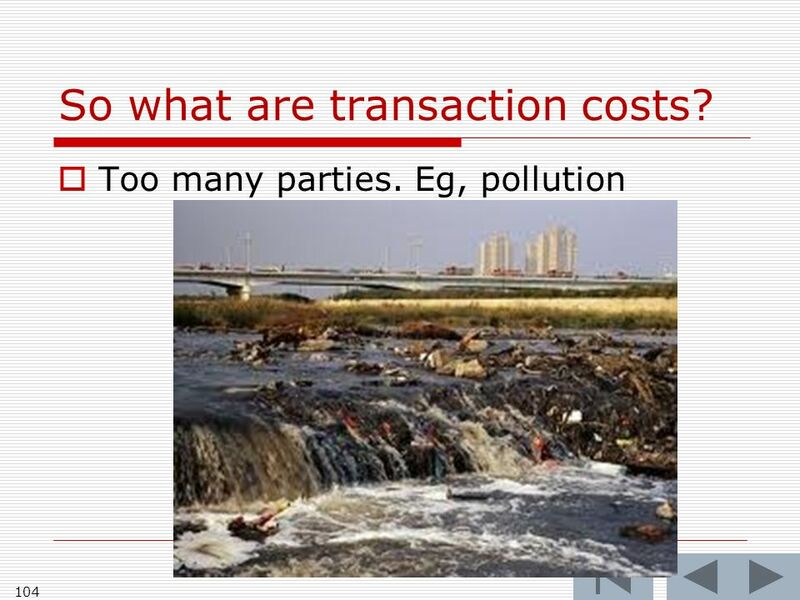 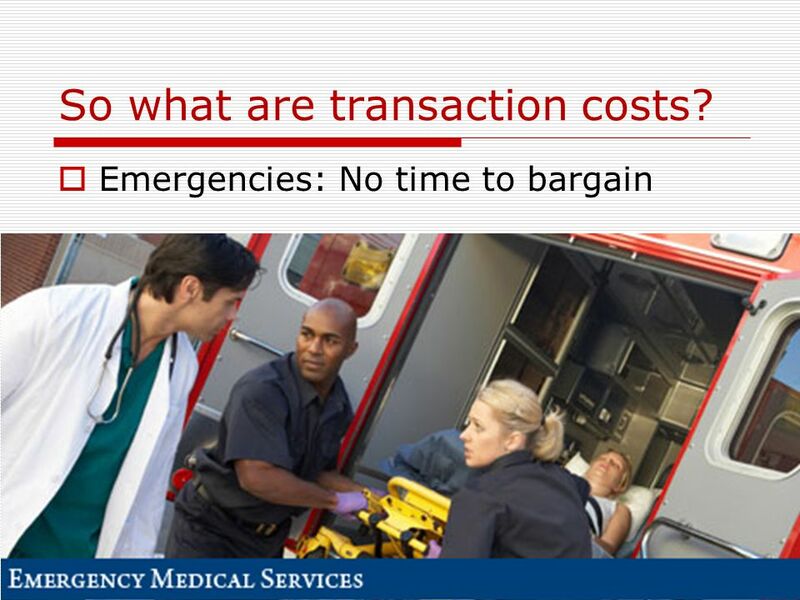 What might constrain the parties from entering into a bargain? 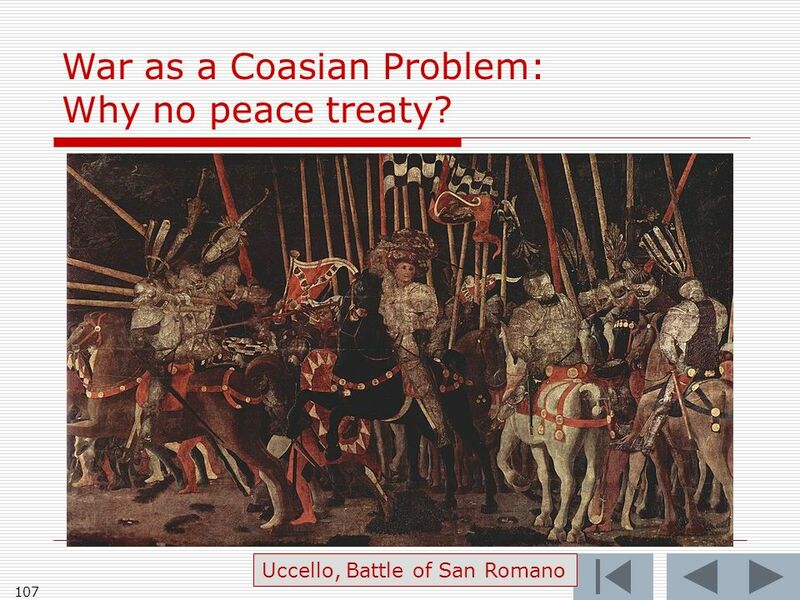 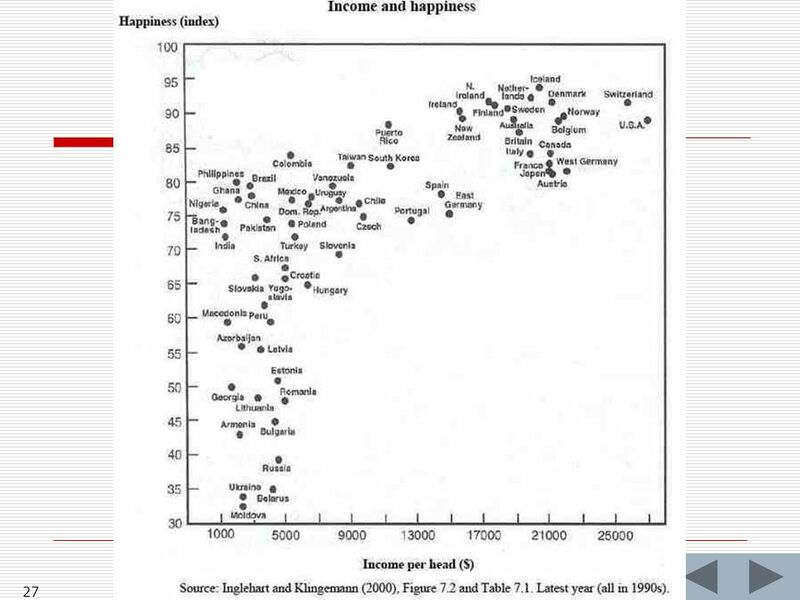 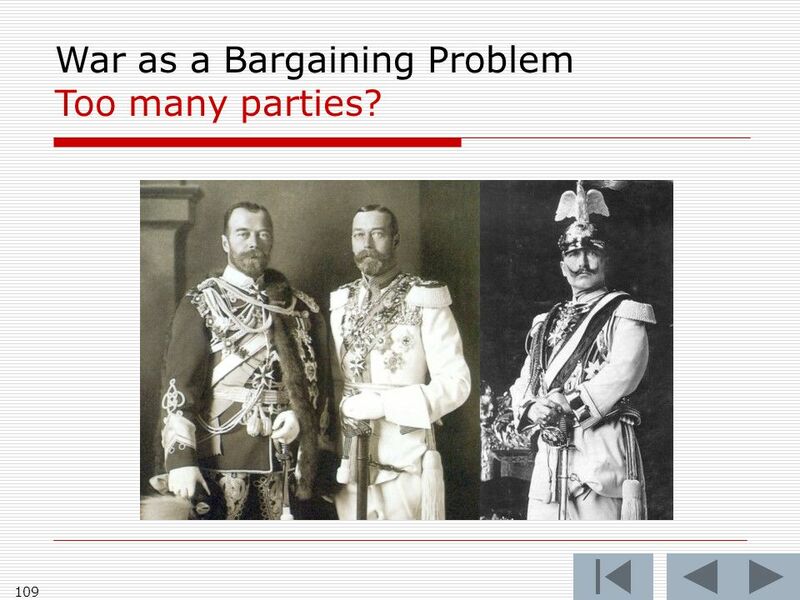 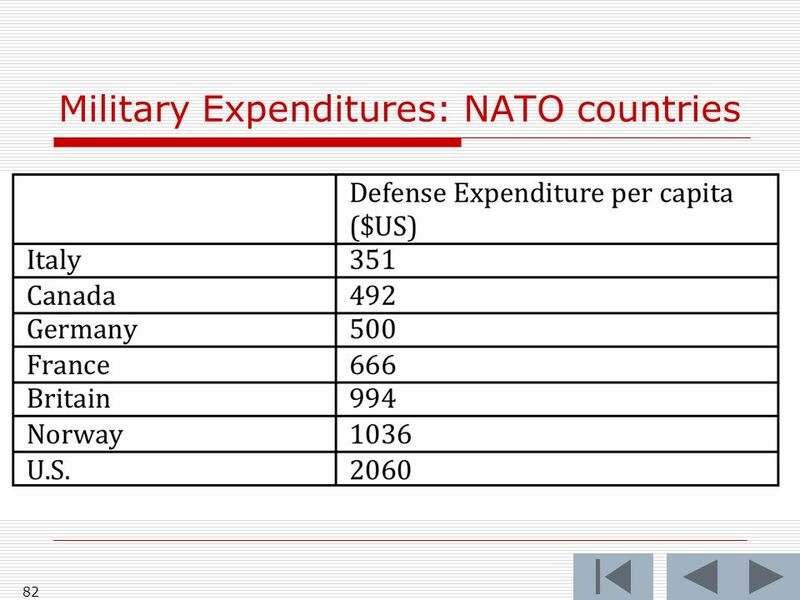 109 109 War as a Bargaining Problem Too many parties? 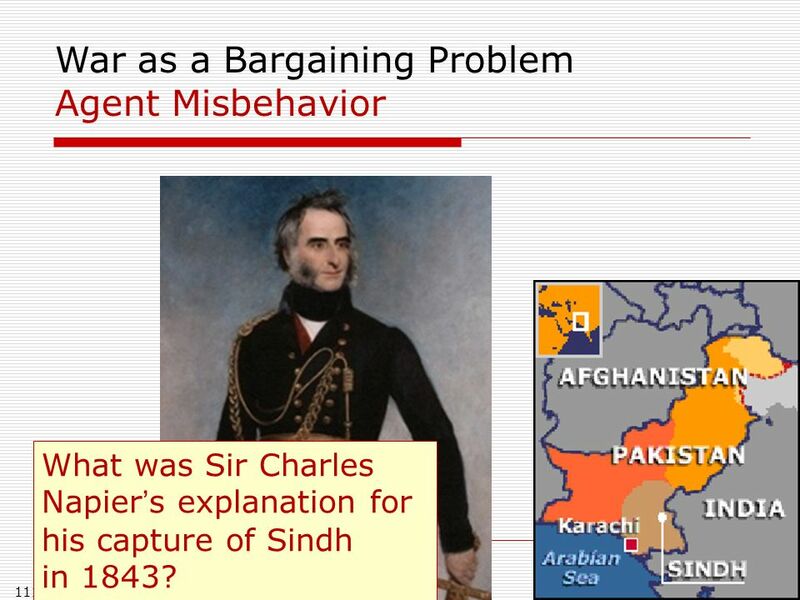 111 111 War as a Bargaining Problem Agent Misbehavior What was Sir Charles Napiers explanation for his capture of Sindh in 1843? 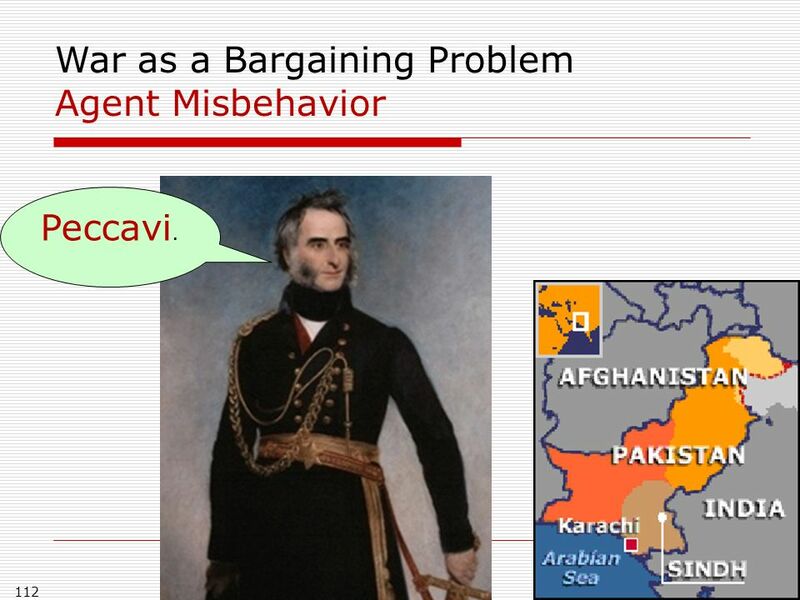 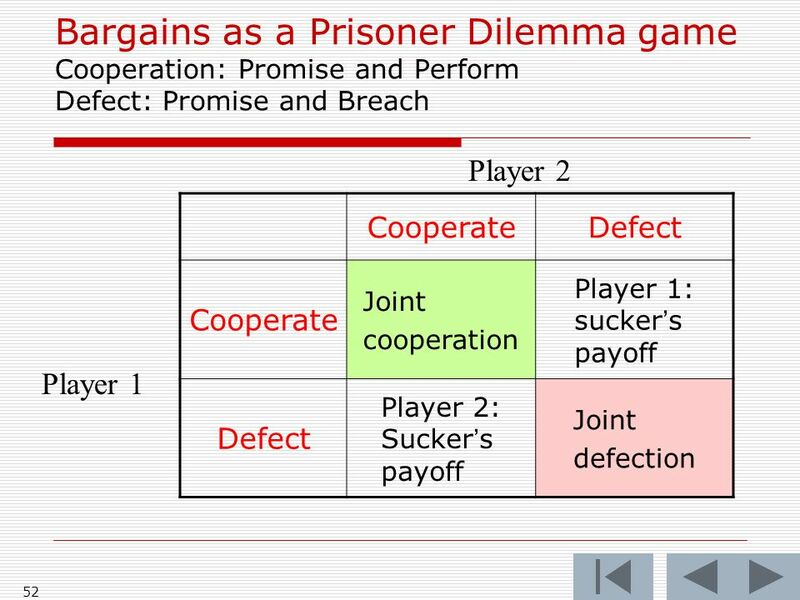 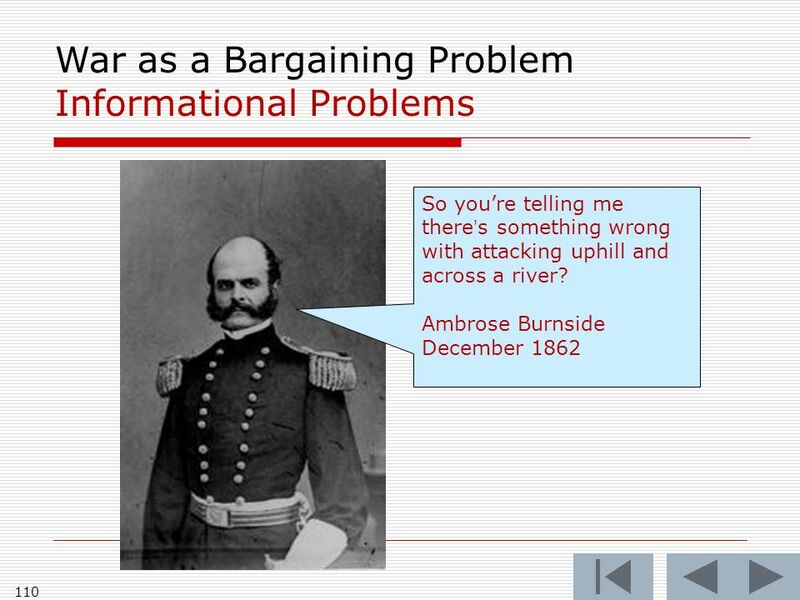 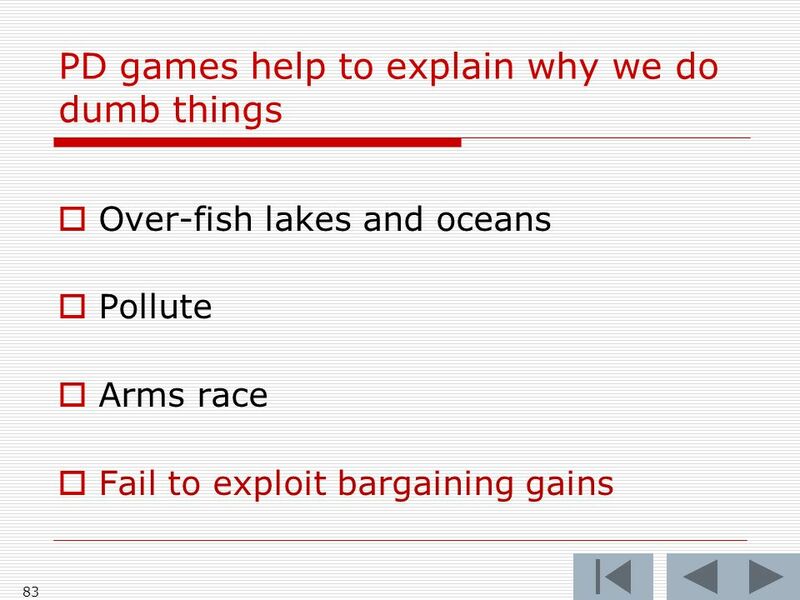 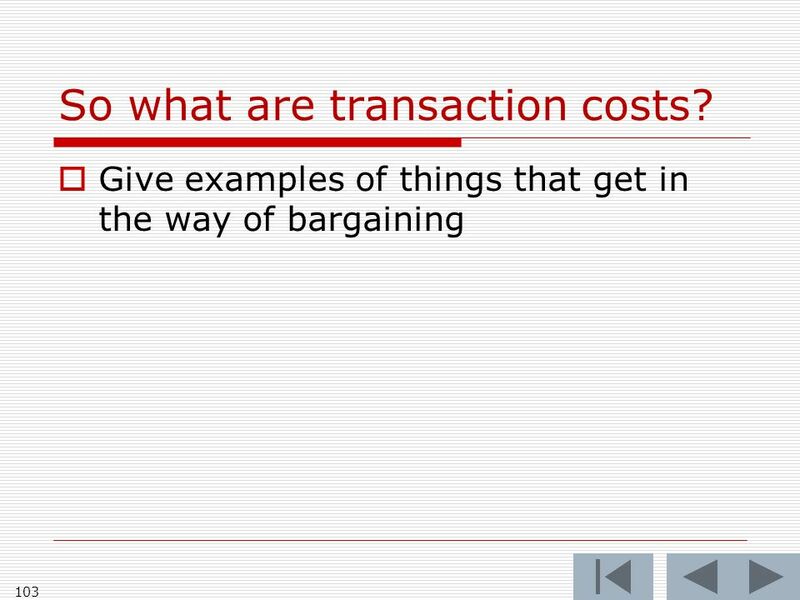 112 112 War as a Bargaining Problem Agent Misbehavior Peccavi. 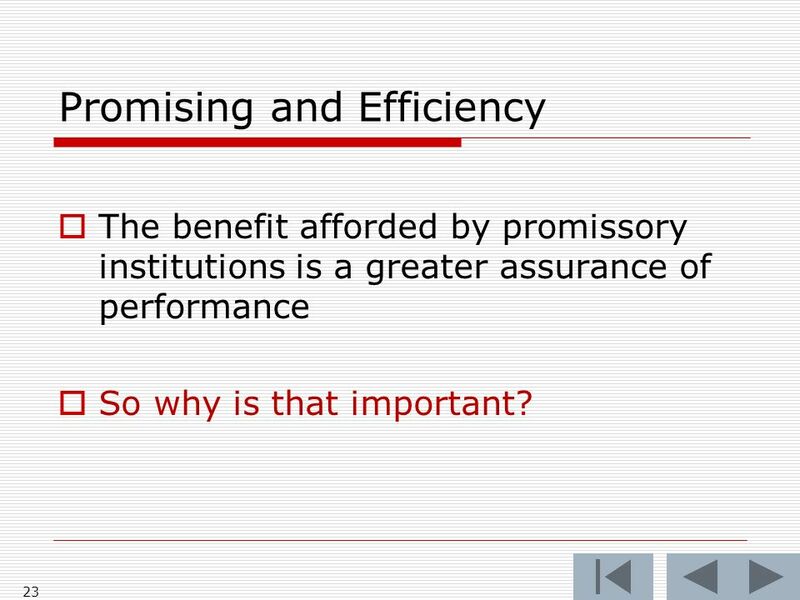 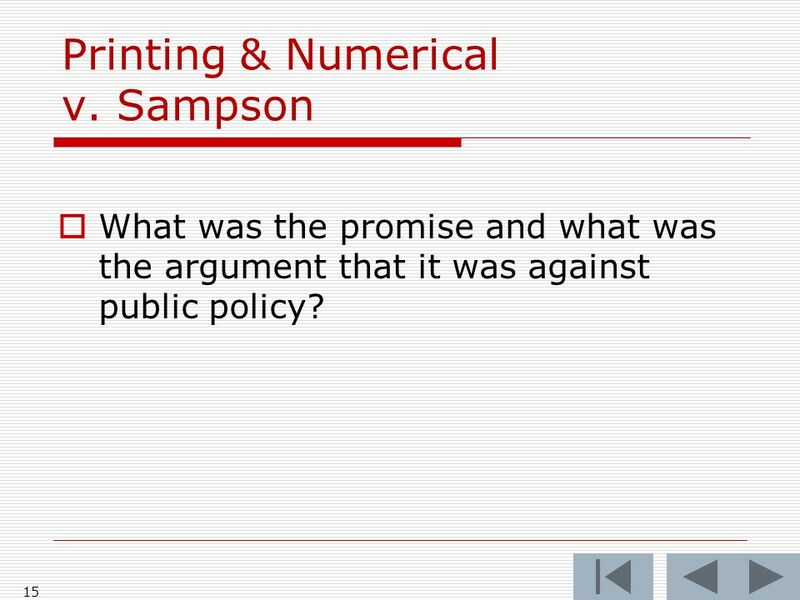 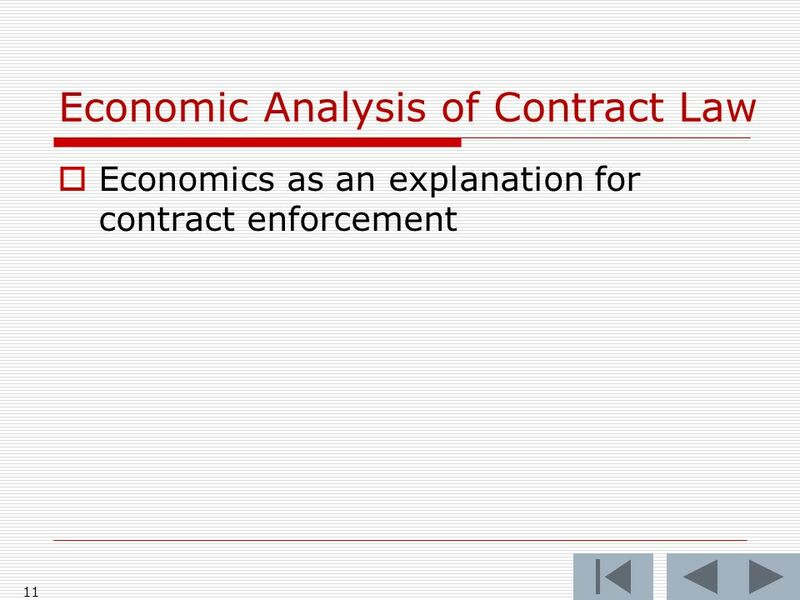 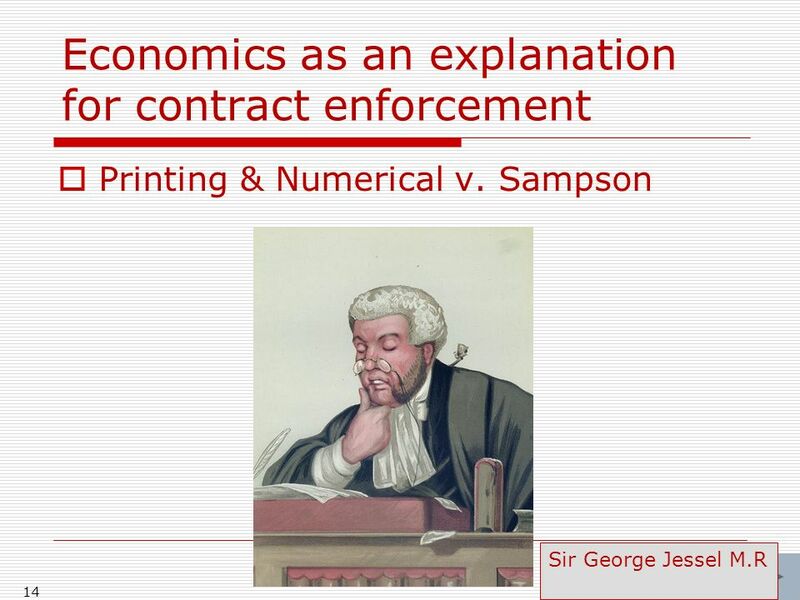 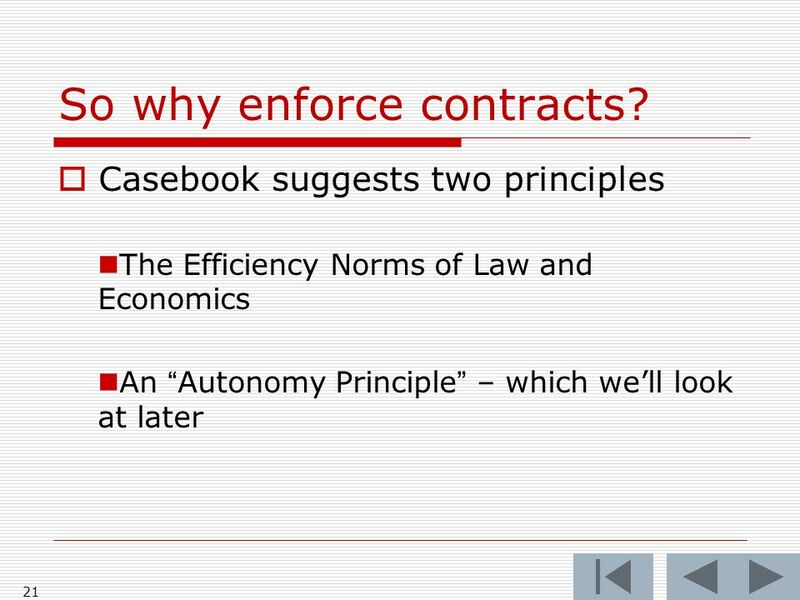 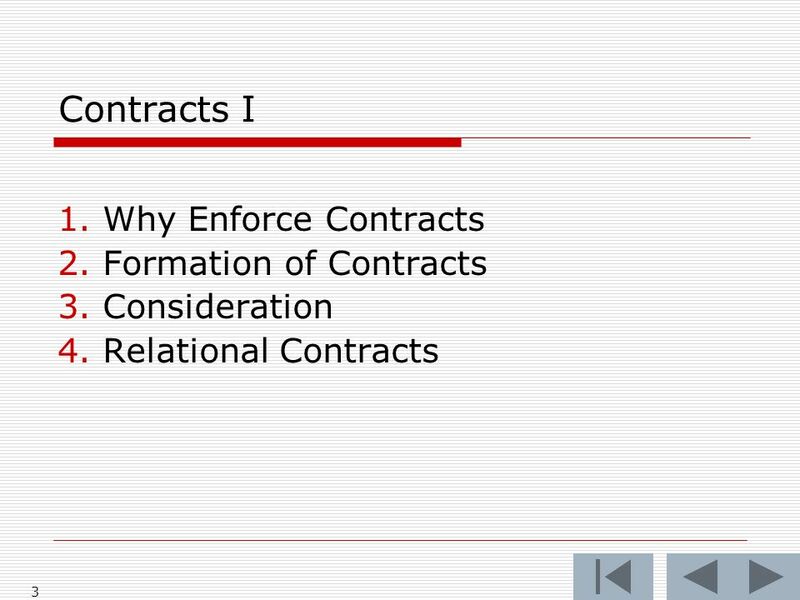 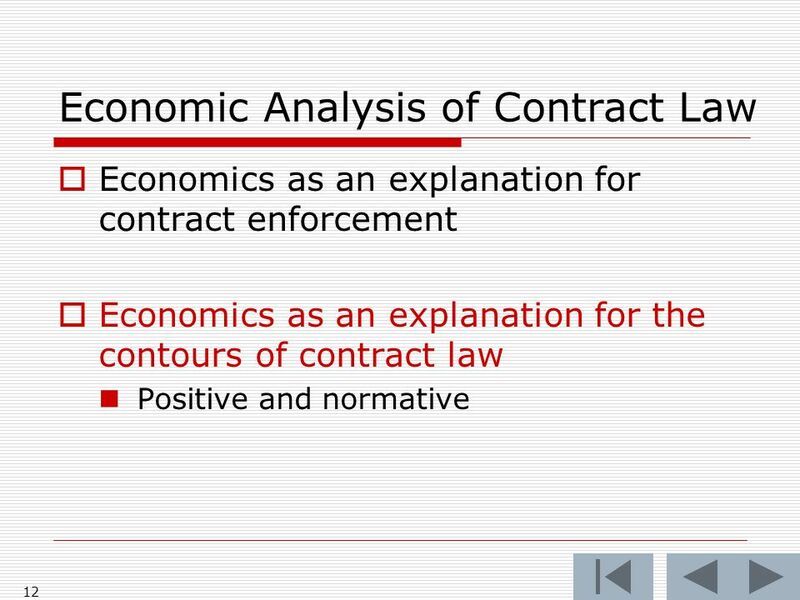 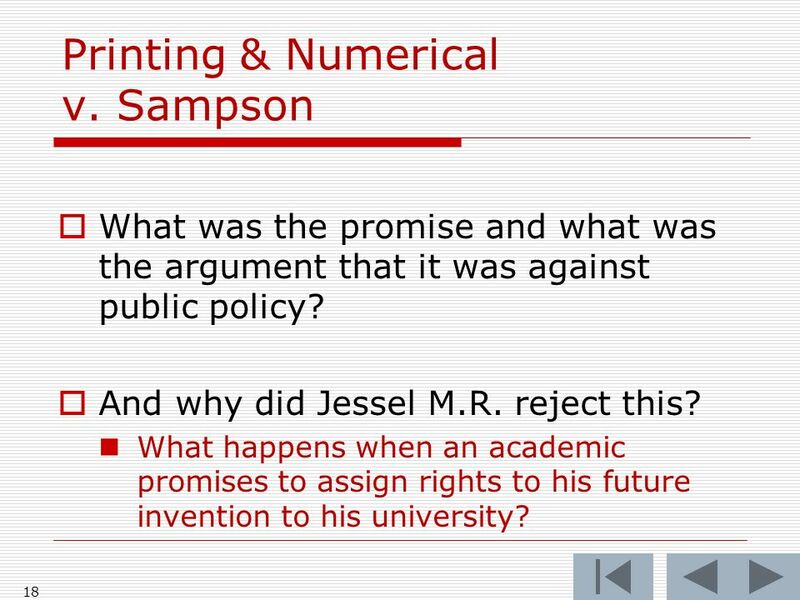 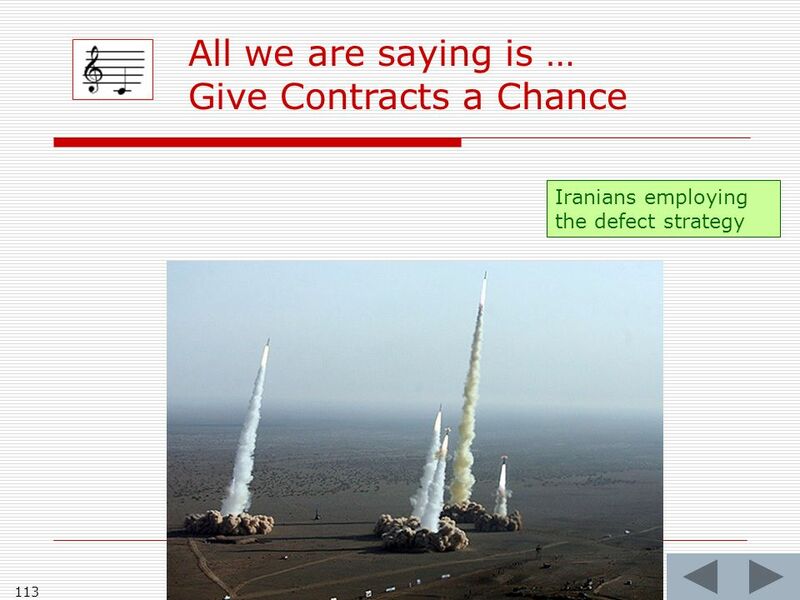 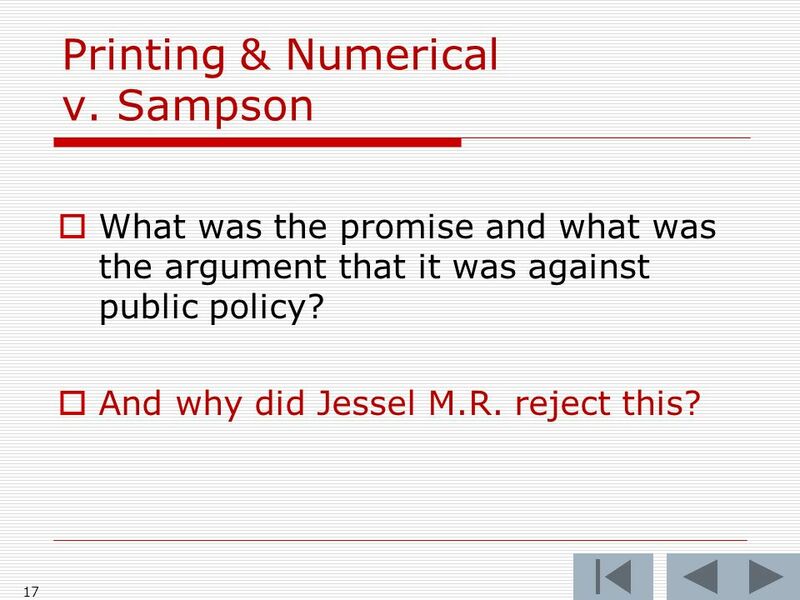 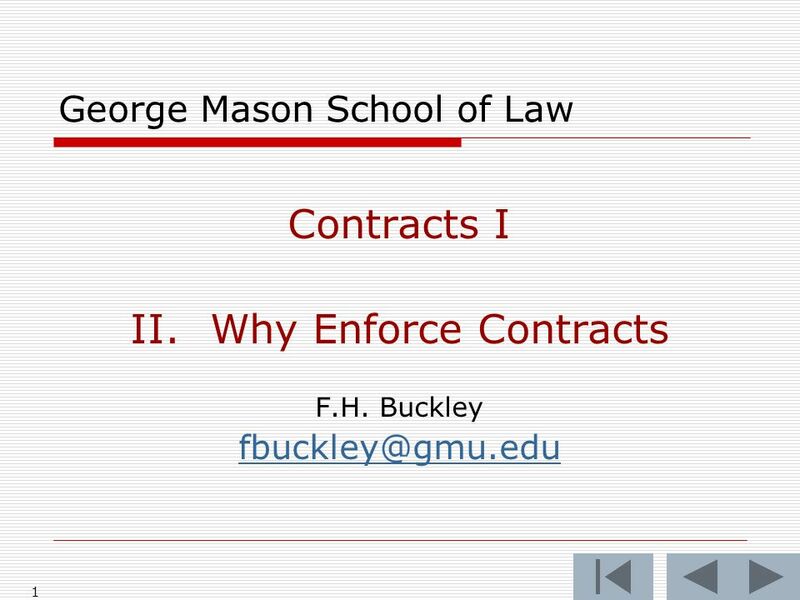 Download ppt "1 George Mason School of Law Contracts I II.Why Enforce Contracts F.H. 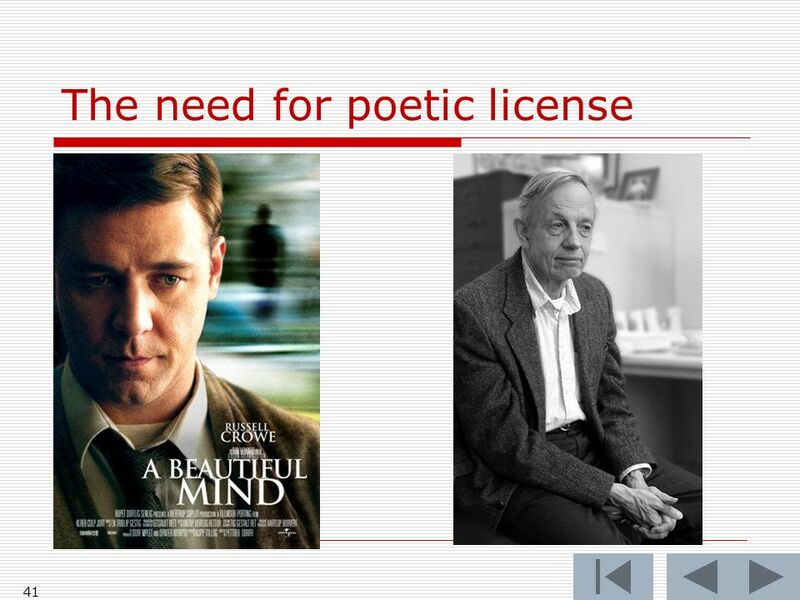 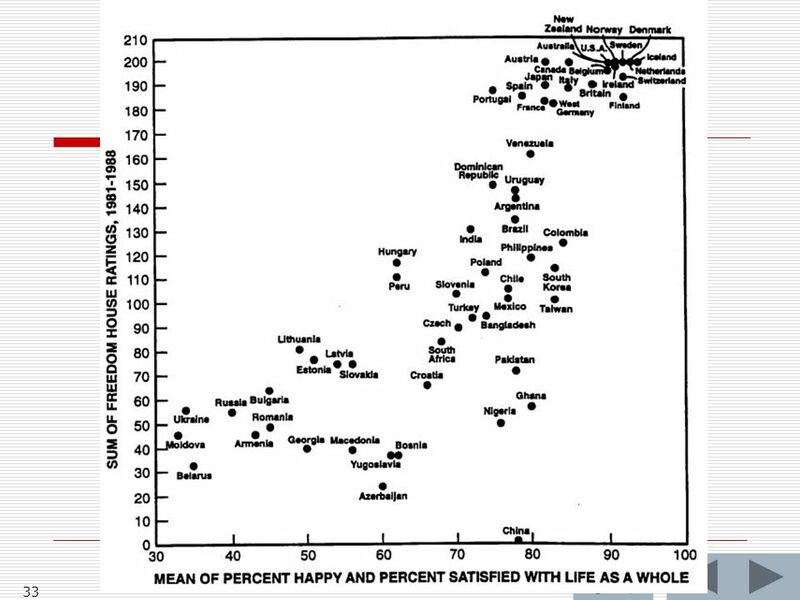 Buckley"